Noch Hobby Trees Deciduous 5-9cm (25). 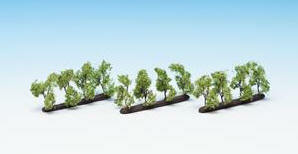 The cost-efficient NOCH Hobby-Trees are ideal for creating forests on your model railway layout. They are the perfect way to cost-efficiently design dense forests and natural tree groupings. 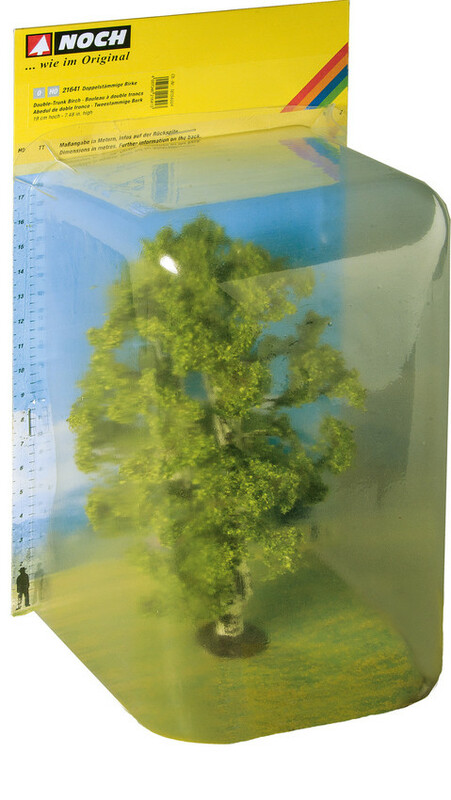 Contents: 25 Deciduous Trees, 5 - 9 cm high. Noch Hobby Trees Fir 5-14cm (25). Fir tree just like in the Black Forest! 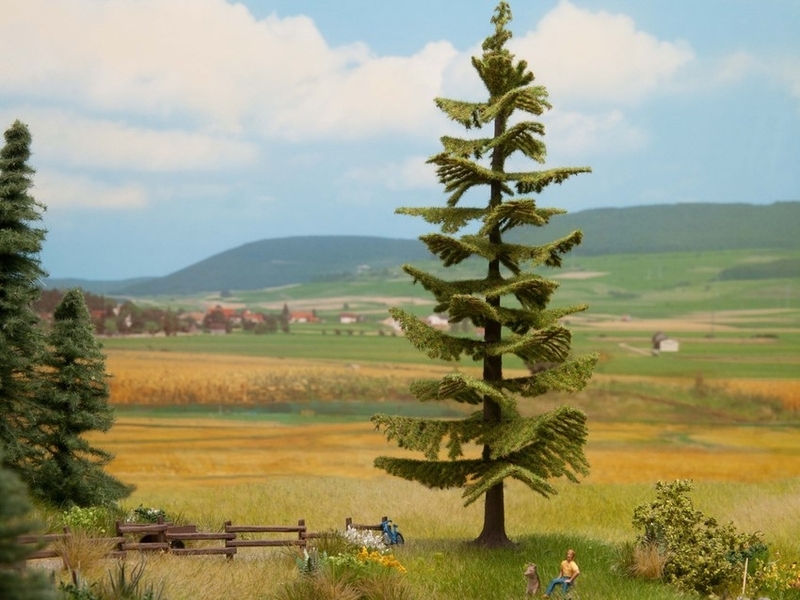 The cost-efficient Hobby-Tree from NOCH are ideal for creating whole forests on your model landscape. 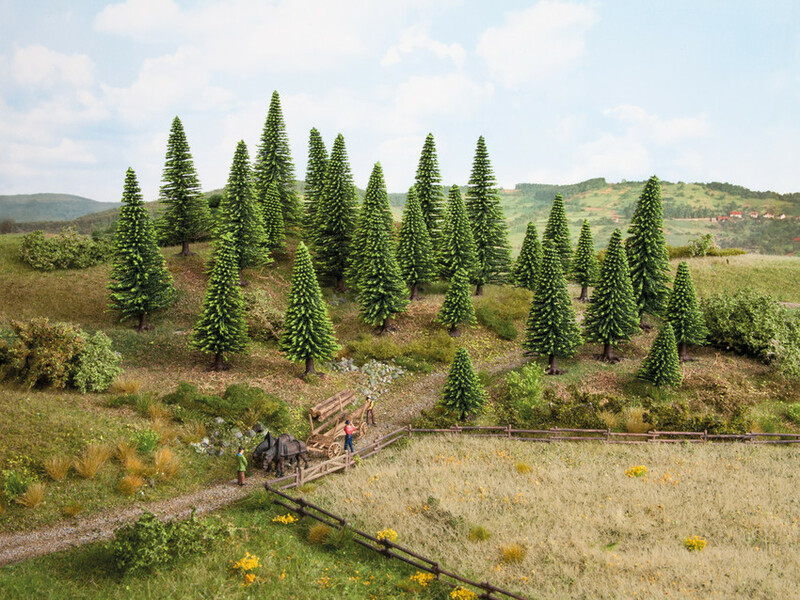 The Model Firs are the perfect way to design dense forests and realistic tree groupings. Contents: 25 Model Firs, 5 - 14 cm high. Noch Hobby Trees Fir 5-14cm (50). Fir tree just like in the Black Forest! 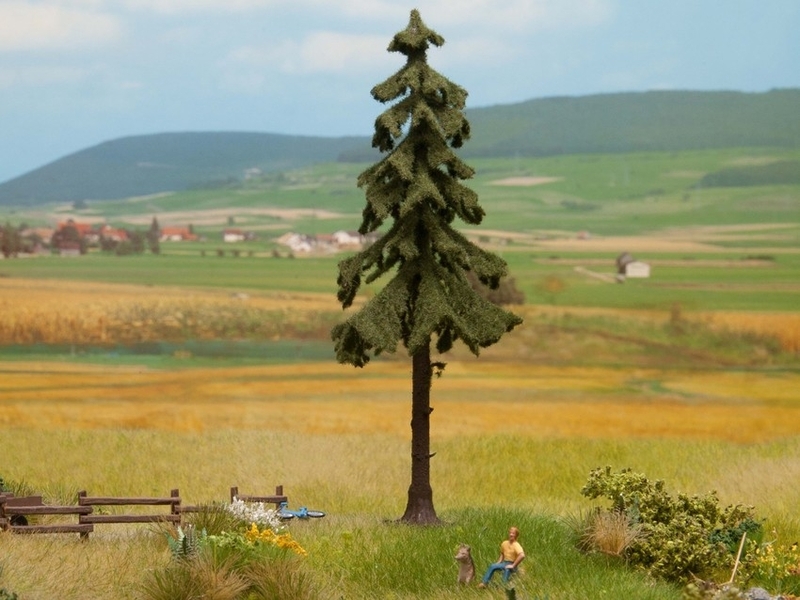 The cost-efficient Hobby-Tree from NOCH are ideal for creating whole forests on your model landscape. 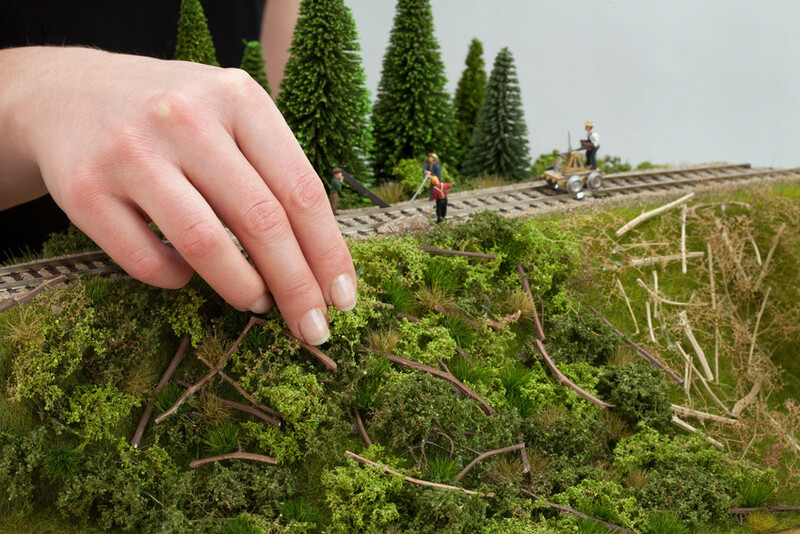 The Model Firs are the perfect way to design dense forests and realistic tree groupings. Contents: 50 Model Firs, 5 - 14 cm high. Noch Hobby Trees Fir Extra High 16-19cm (10). Fir tree just like in the Black Forest! 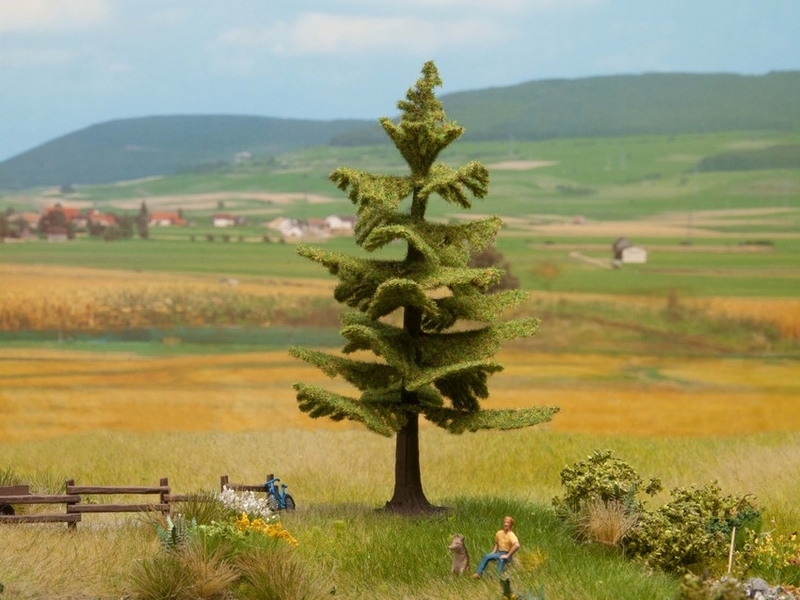 The cost-efficient Hobby-Tree from NOCH are ideal for creating whole forests on your model landscape. 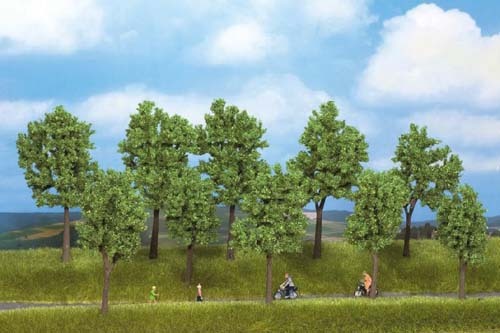 The Model Firs are the perfect way to design dense forests and realistic tree groupings. Contents: 10 Model Firs, extra high, 16 - 19 cm high. 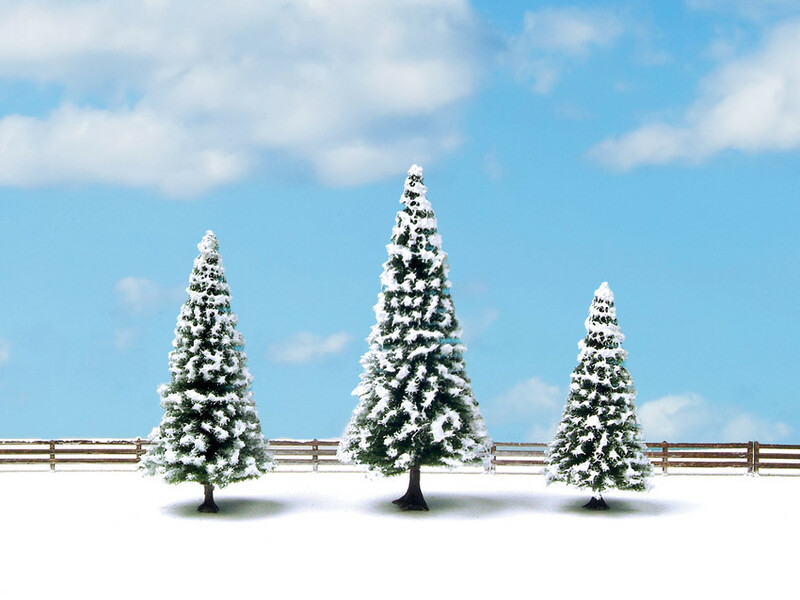 Noch Hobby Trees Snow Fir Trees 5-14cm (25). Fir tree just like in the Black Forest! 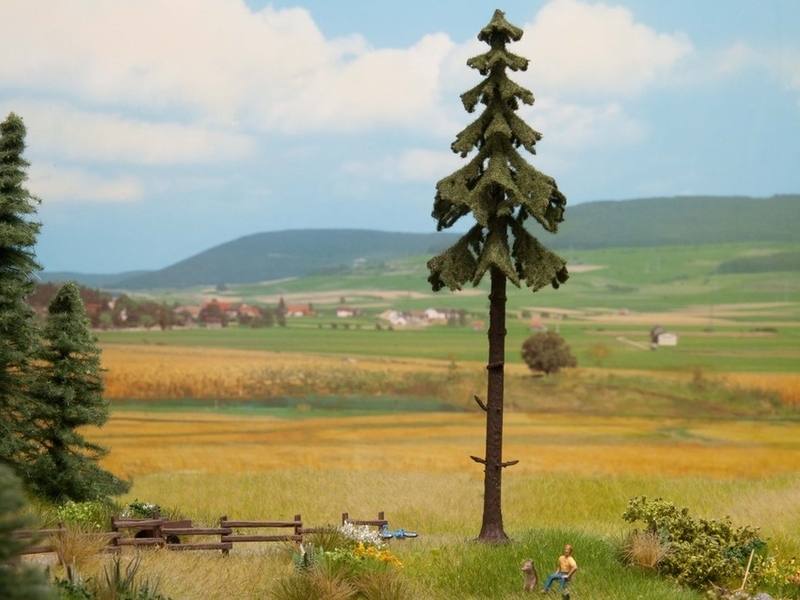 The cost-efficient Hobby-Tree from NOCH are ideal for creating whole forests on your model landscape. 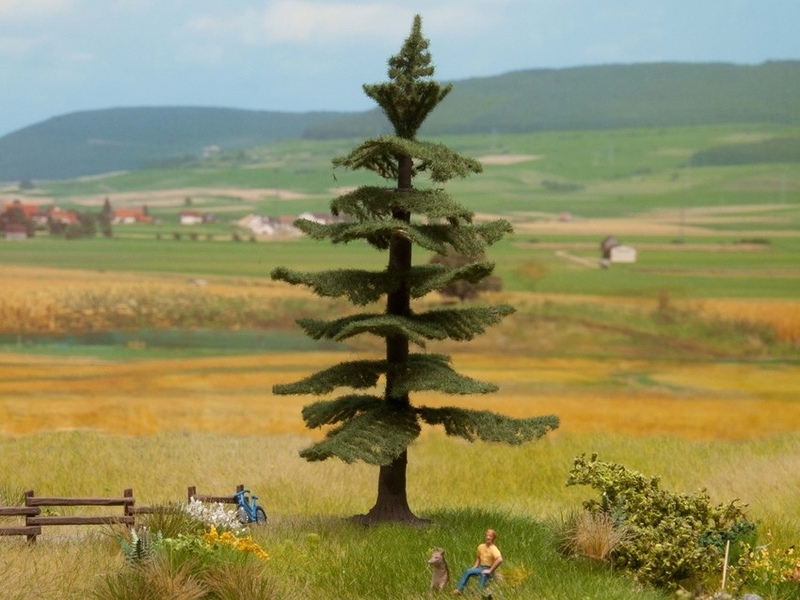 The Model Firs are the perfect way to design dense forests and realistic tree groupings. Contents: 25 Snow Firs, 5 - 14 cm high. 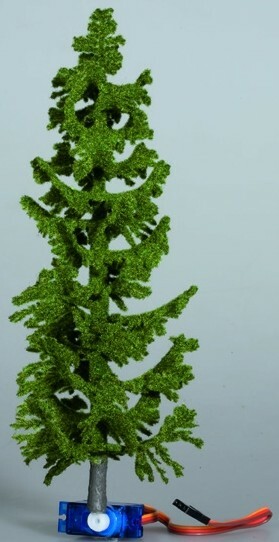 Noch Hobby Trees Fir with Planting Pin 5-14cm (25). Fir tree just like in the Black Forest! 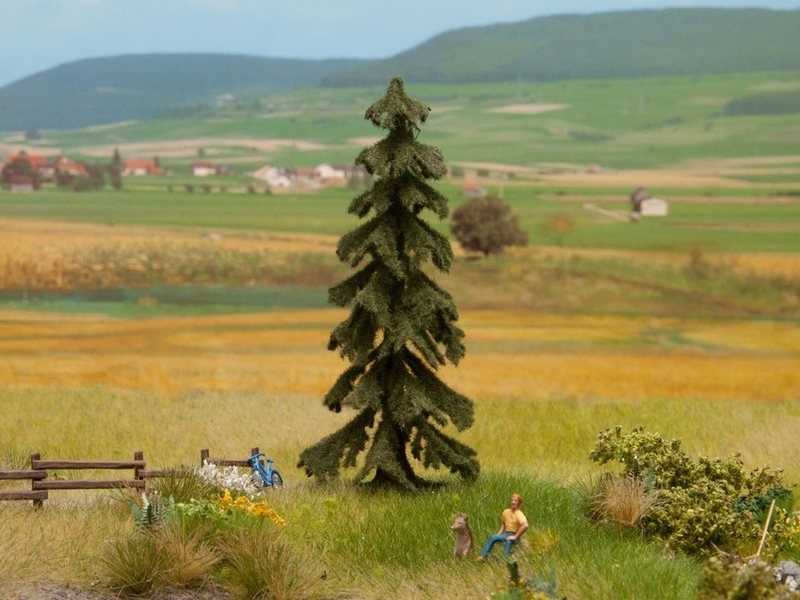 The cost-efficient Hobby-Trees from NOCH are ideal for creating whole forests on your model landscape. The Model Firs are the perfect way to design dense forests and realistic tree groupings. 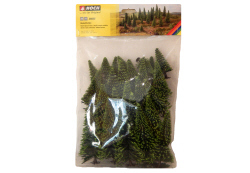 Contents: 25 Fir Trees with Planting Pin, 5 - 14 cm high. 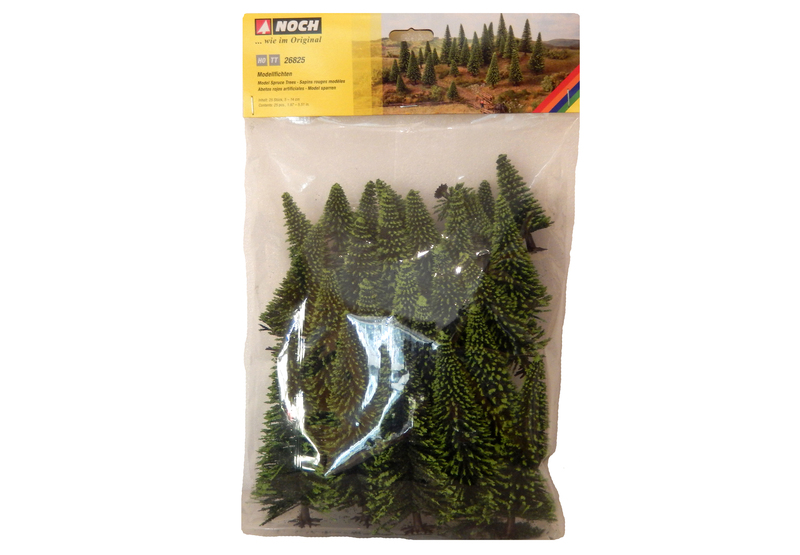 Noch Hobby Trees Fir with Planting Pin 5-14cm (50). Fir tree just like in the Black Forest! 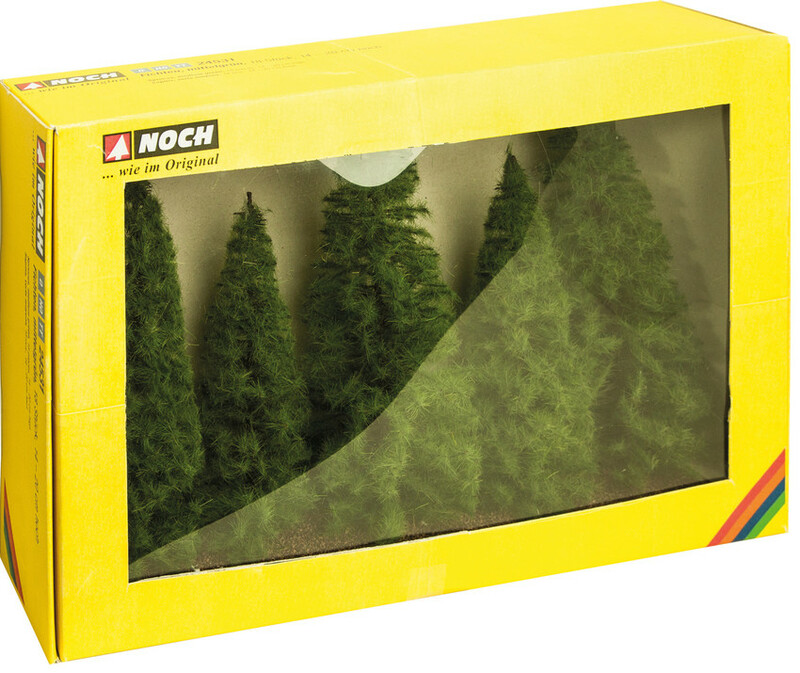 The cost-efficient Hobby-Trees from NOCH are ideal for creating whole forests on your model landscape. 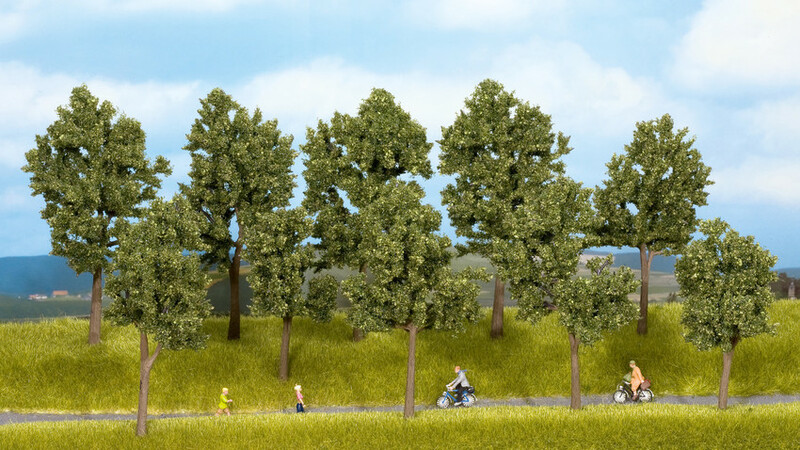 The Model Firs are the perfect way to design dense forests and realistic tree groupings. Contents: 50 Fir Trees with Planting Pin, 5 - 14 cm high. Noch Hobby Trees Deciduous 5-9cm (10). 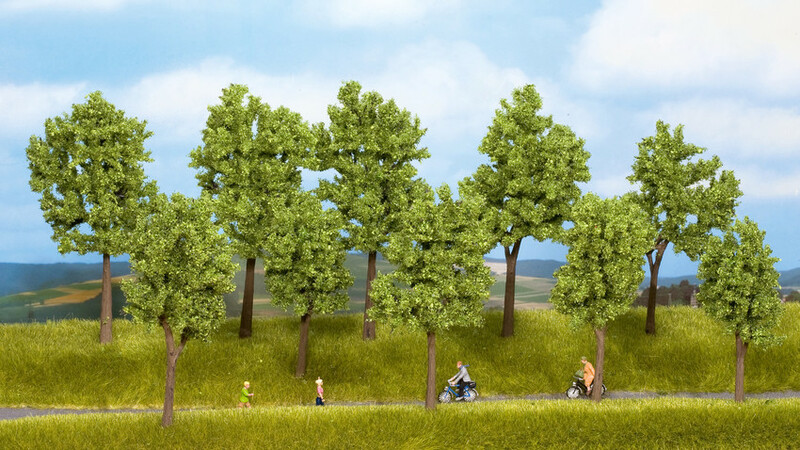 The cost-efficient Hobby-Trees from NOCH are ideal for creating whole forests on your model landscape. The Model Trees with their realistic tree trunks are the perfect way to design dense forests and realistic tree groupings. 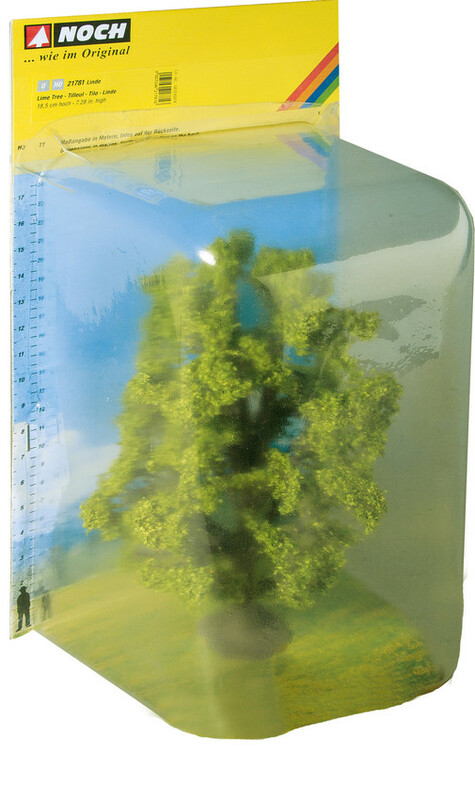 Contents: 10 Deciduous Trees, 5 - 9 cm high. Noch Hobby Trees Deciduous 5-9cm (5). 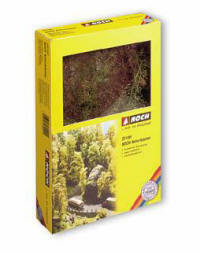 The cost-efficient Hobby-Trees from NOCH are ideal for creating whole forests on your model landscape. 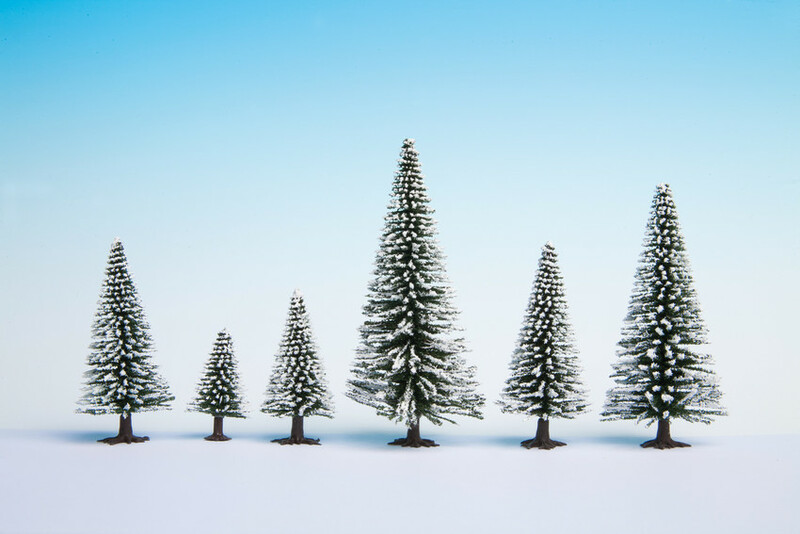 The Model Trees with their realistic tree trunks are the perfect way to design dense forests and realistic tree groupings. Contents: 5 Deciduous Trees, 5 - 9 cm high. 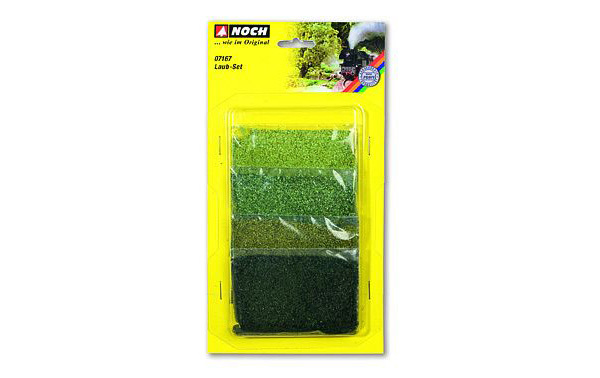 Noch Hobby Trees Spring 5-9cm (10). 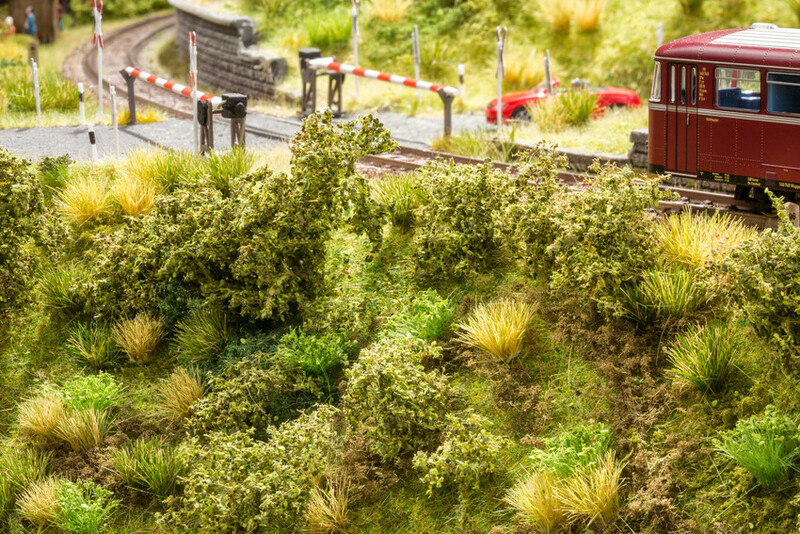 Let spring magically take over your model railway layout . 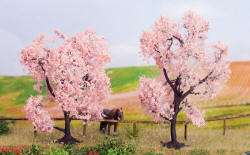 The set contains model trees blooming in white and pink with fresh and lush green leaves. 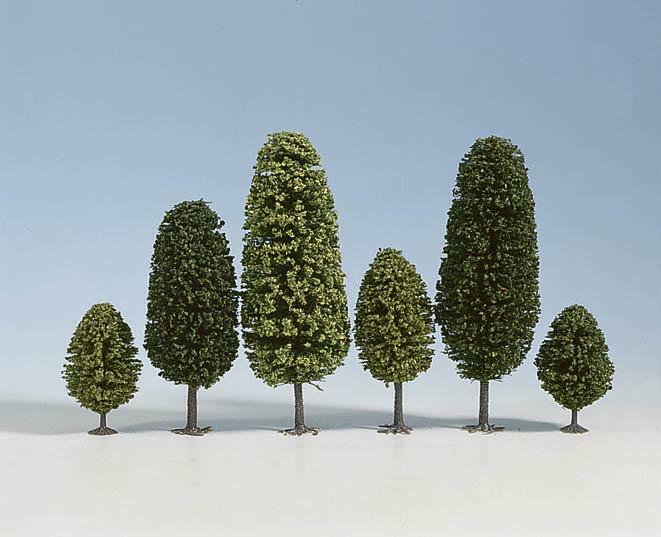 The cost-efficient Hobby-Trees from NOCH are ideal for creating whole forests on your model landscape. The Model Trees with their realistic tree trunks are the perfect way to design dense forests and realistic tree groupings. 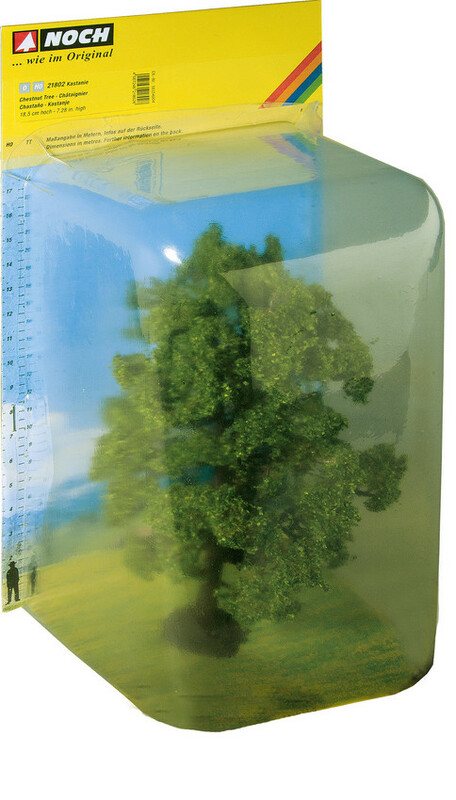 Contents: 10 Spring Trees, 5 - 9 cm high. Noch Hobby Trees Mixed Forest 5-14cm (10). The Mixed Forest contains dark green fir trees and lush green deciduous trees that make for a great mixed forest. 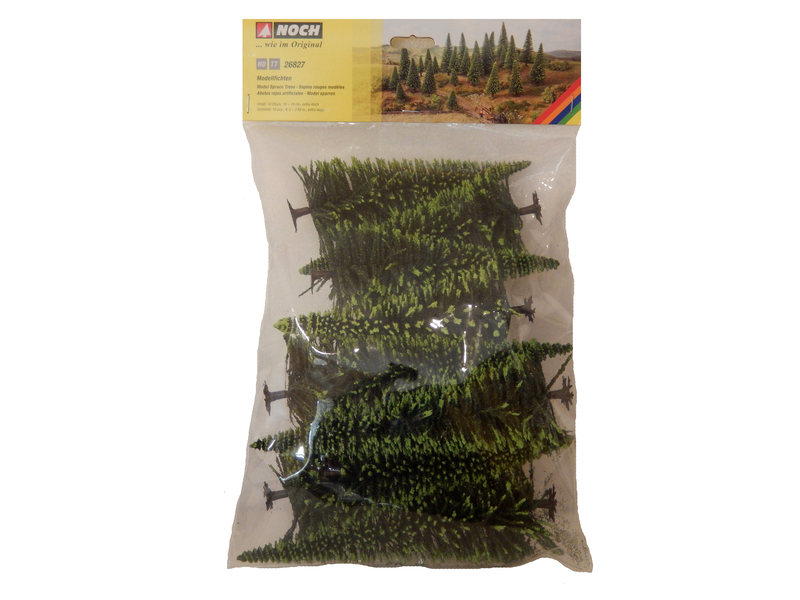 The cost-efficient Hobby-Trees from NOCH are ideal for creating whole forests on your model landscape. The Model Trees with their realistic tree trunks are the perfect way to design dense forests and realistic tree groupings. 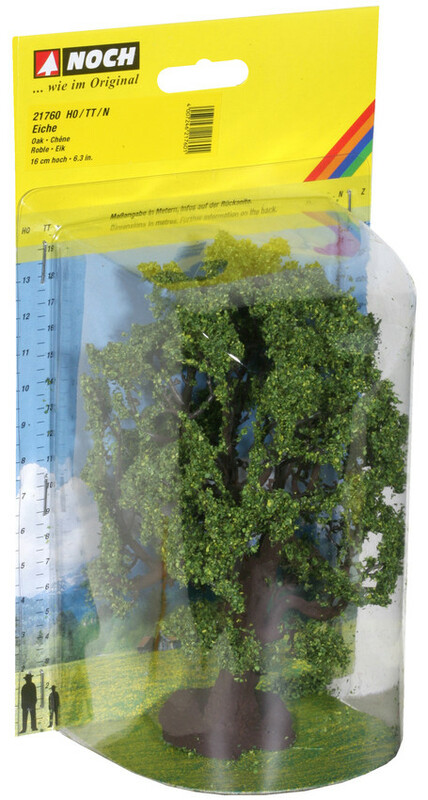 Contents: 10 Model Trees �Mixed Forest�, 5 - 14 cm high. 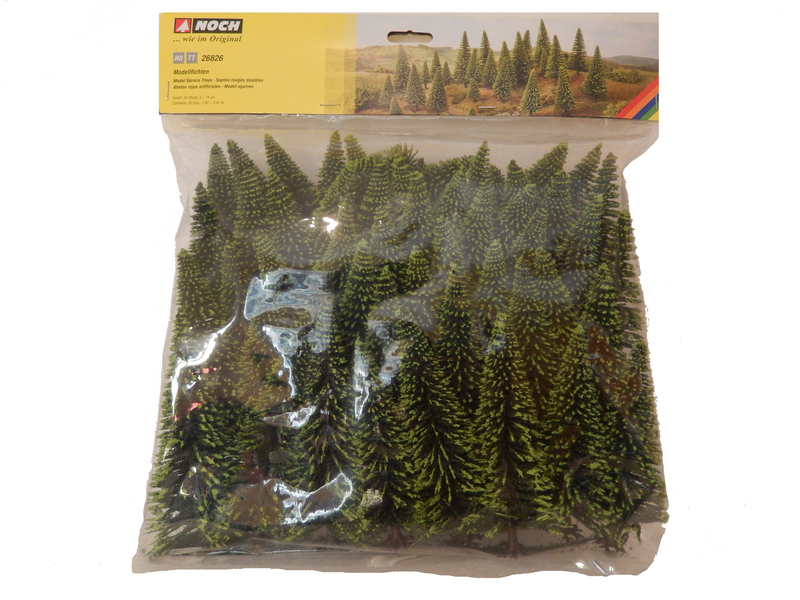 Noch Hobby Trees Spruce 5-9cm (5). Firs just like in the Black Forest! 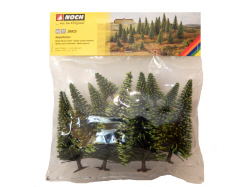 The cost-efficient Hobby-Trees from NOCH are ideal for creating whole forests on your model landscape. 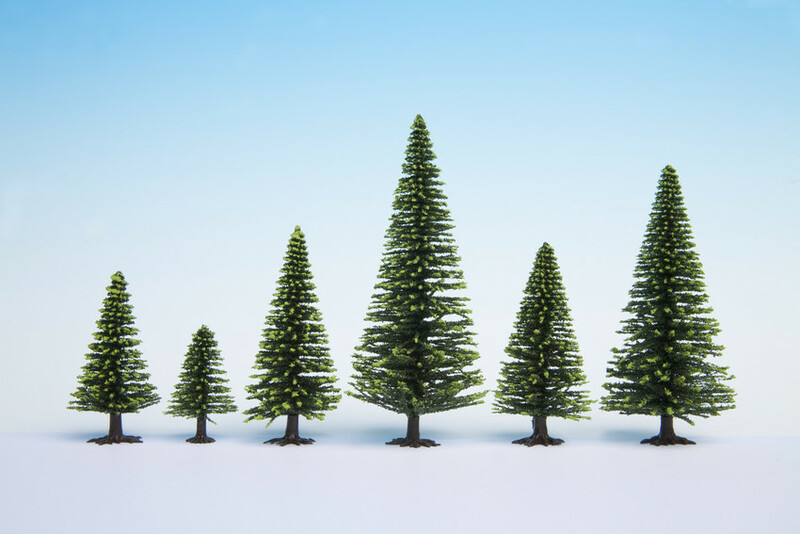 The Model Trees with their realistic tree trunks are the perfect way to design dense forests and realistic tree groupings. Contents: 5 Spruce 5-9cm high. 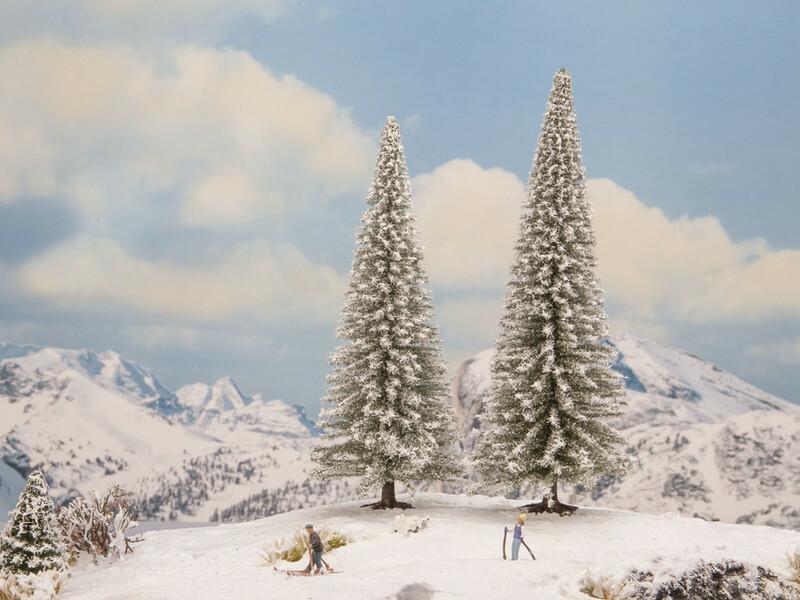 Noch Hobby Trees Snow Fir 5-14cm (10). Snow Firs - amazingly cost-efficient! 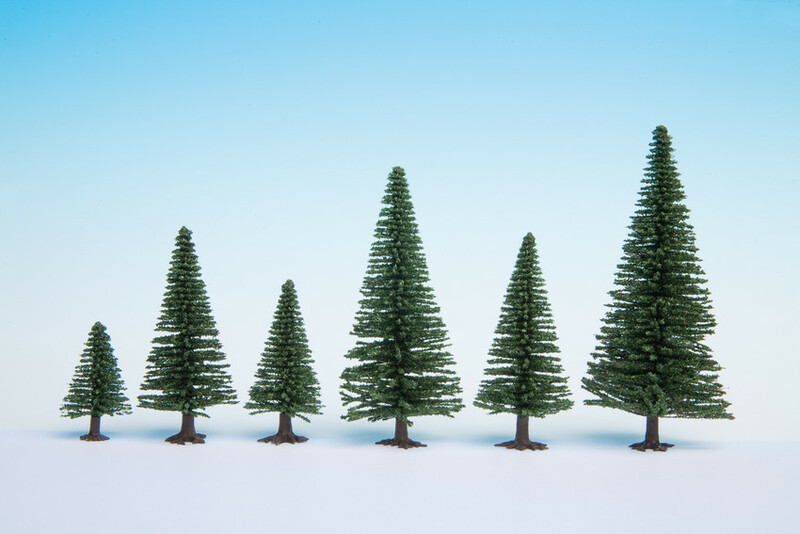 Whether you need Model Snow Firs for your model railway layout or your Christmas nativity scene � the cost-efficient Hobby-Trees from NOCH are ideal for creating whole forests on your model landscape. Contents: 10 Snow Fir 5-14cm high. 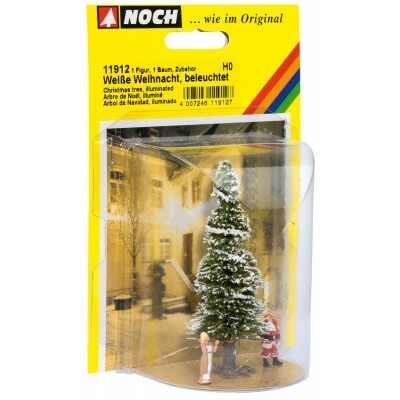 Noch Hobby Trees Snow Fir 5-9cm (5). Snow Firs - amazingly cost-efficient! 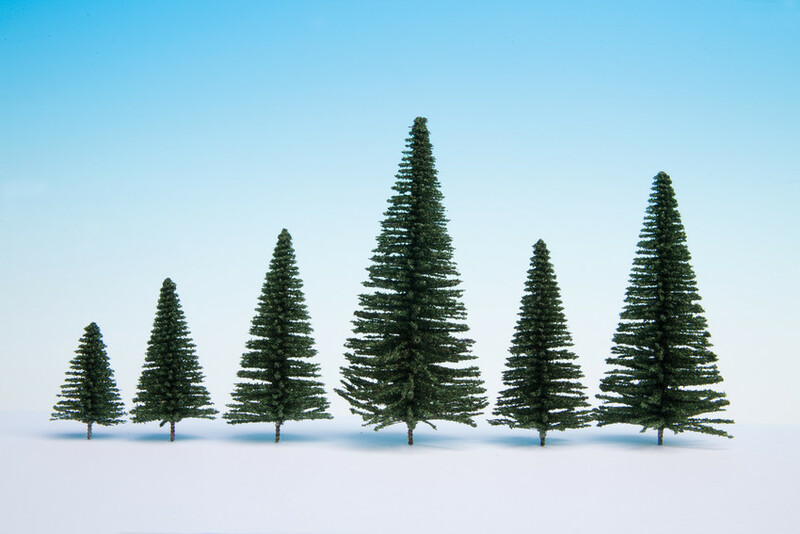 Whether you need Model Snow Firs for your model railway layout or your Christmas nativity scene � the cost-efficient Hobby-Trees from NOCH are ideal for creating whole forests on your model landscape Contents: 5 Snow Firs, 5 - 9 cm high. 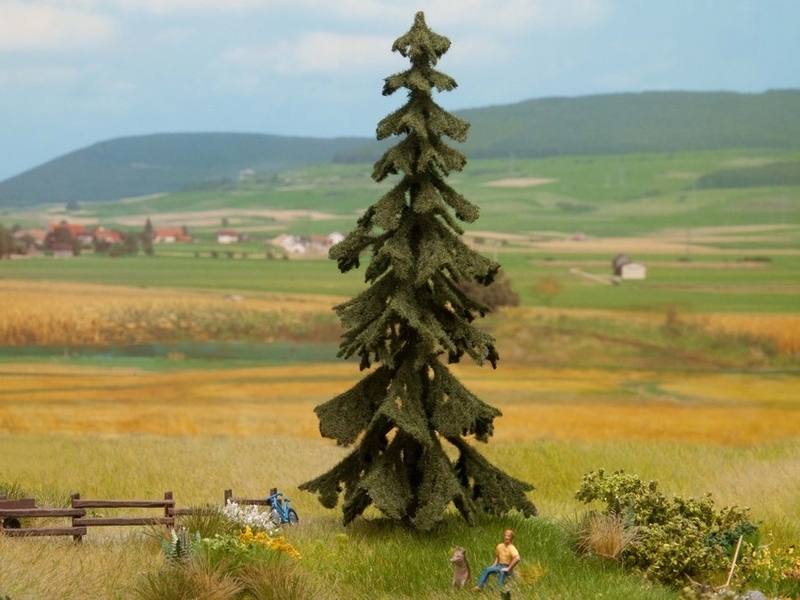 Model Spruce Trees, 25 pieces, 5 - 14 cm high. The trees feature realistic, un-evenly cut tree branches and very realistic root stocks. Model Spruce Trees, 50 pieces, 5 - 14 cm high. 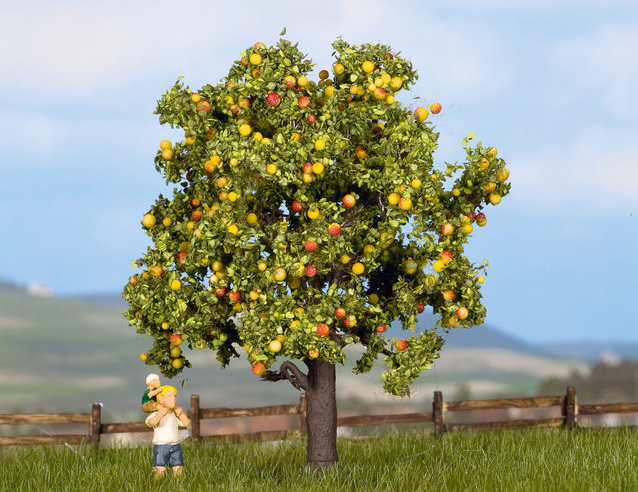 The trees feature realistic, un-evenly cut tree branches and very realistic root stocks. 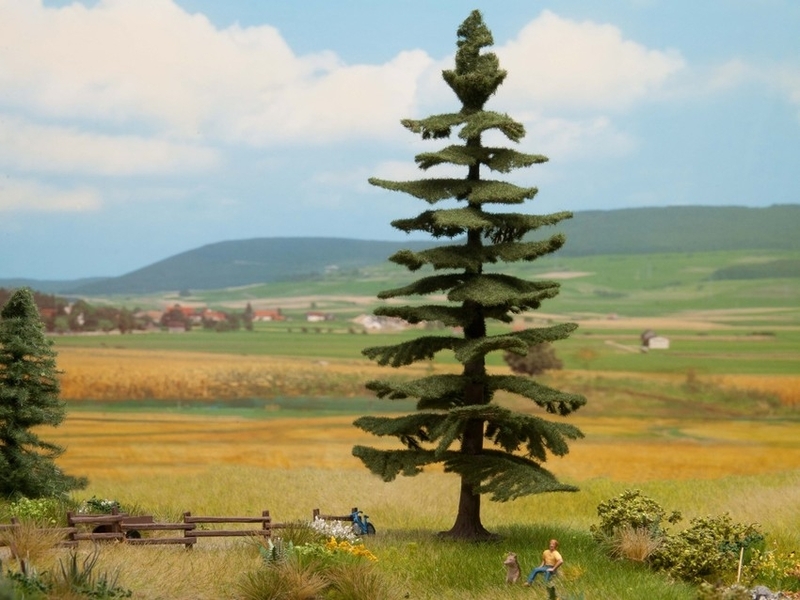 Model Spruce Trees, extra high, 10 pieces, 16 - 19 cm high. 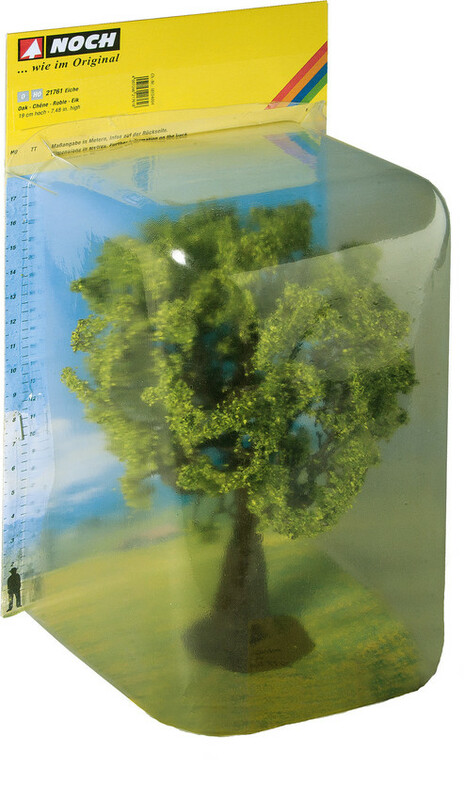 The trees feature realistic, un-evenly cut tree branches and very realistic root stocks. 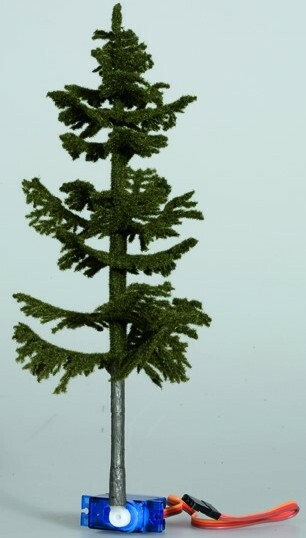 Model Spruce Trees, 10 pieces, 5 - 14 cm high. 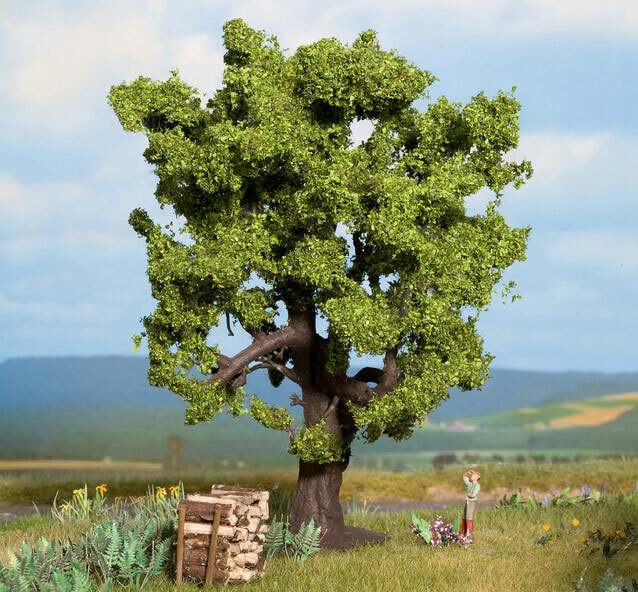 The trees feature realistic, un-evenly cut tree branches and very realistic root stocks. Deep Forests � High Treetops! 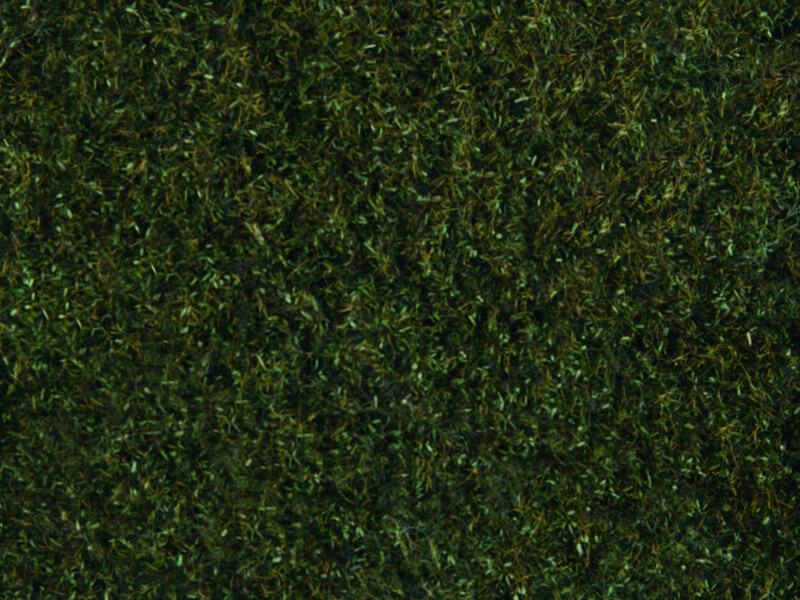 The new high-quality PROFI Fir Trees and Spruces are ideal for creating an impressive dense forest in the blink of an eye. 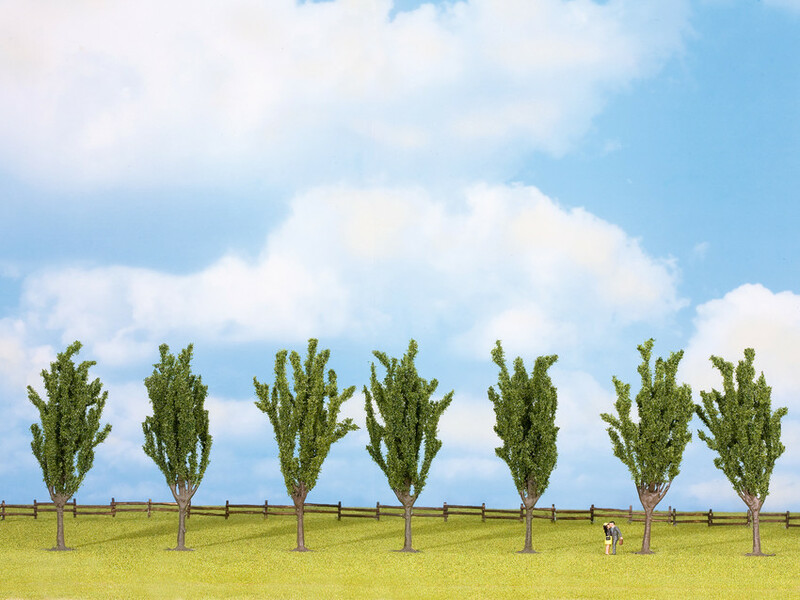 Thanks to our high-quality flocking with extra long fibres, the trees have a very realistic finish. 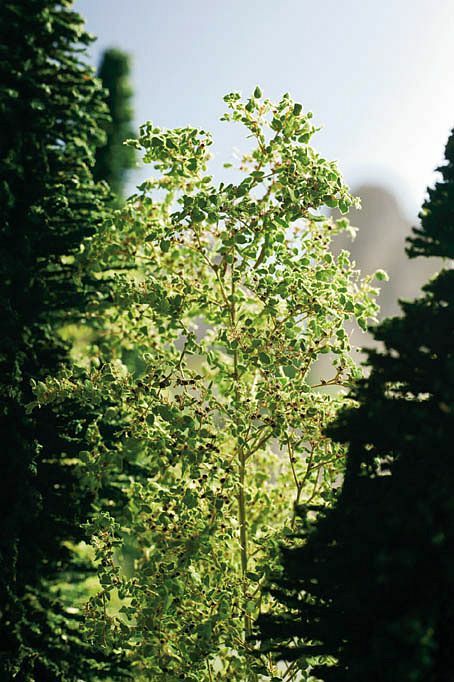 The trees are available in two different shades of green (Dark and Medium) and can be easily planted into your model landscape (by making a small hole) thanks to the wired stem. Deep Forests � High Treetops! 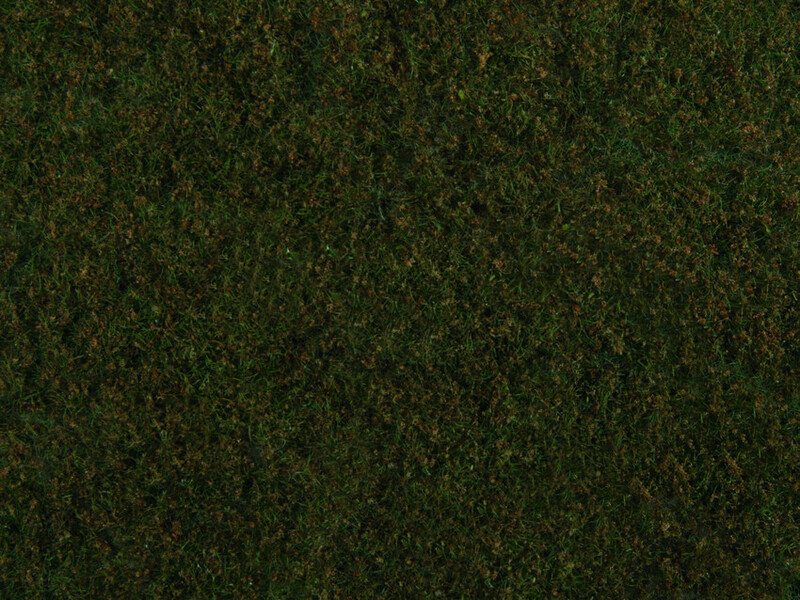 The new high-quality PROFI Fir Trees and Spruces are ideal for creating an impressive dense forest in the blink of an eye. 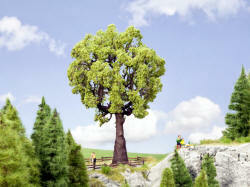 Thanks to our high-quality flocking with extra long fibres, the trees have a very realistic finish. 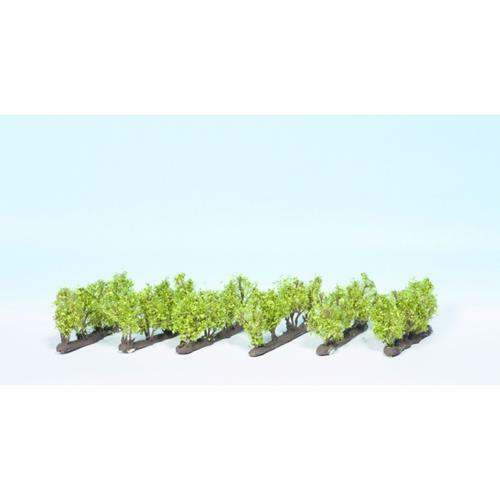 TThe trees are available in two different shades of green (Dark and Medium) and can be easily planted into your model landscape (by making a small hole) thanks to the wired stem. Noch Vines, 24 vines included in the pack attached to 4 base's (see picture), Heights: 0,8in / 2cm. Besides the traditional orchard meadows, fruit plantations can also been seen more and more in our landscape. Noch Orange Trees, Pack of 3. Height 40mm. Part of the Noch Classic Tree Series. Noch Lemon Trees, Pack of 3. Height 40mm. Part of the Noch Classic Tree Series. Noch almond trees in blossom, pack of 2. Size approx. 8cm and 9cm tall. 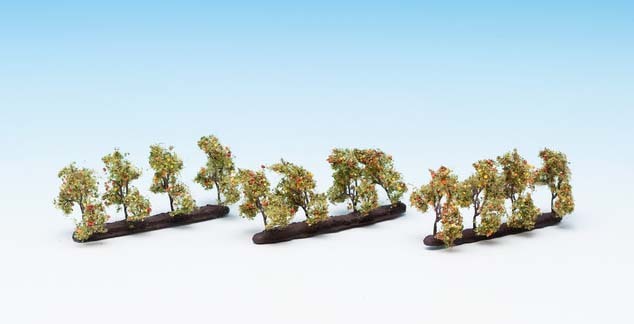 Noch Popular Trees, Pack of 7. Height 120mm. 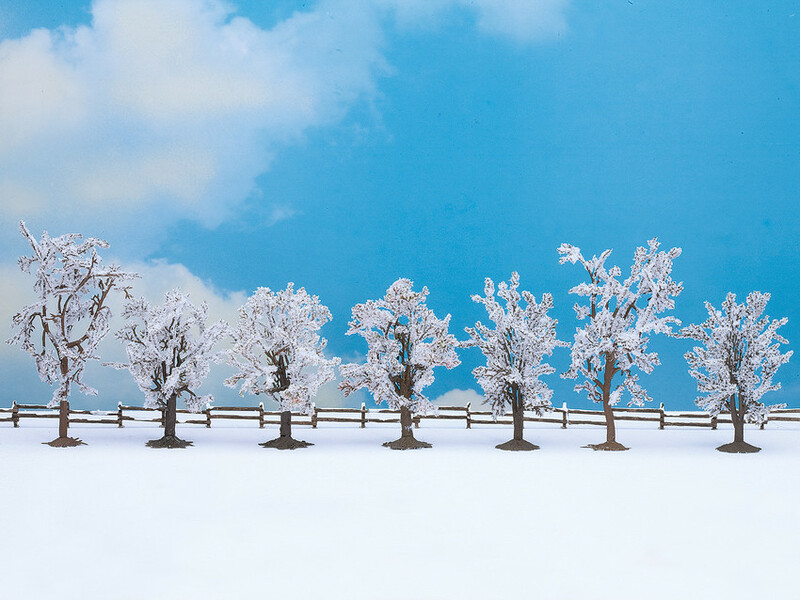 With this years� launched Classic Snow Fir Trees you are ready to create enchanting winter wonderlands on your model railroad layout or snow-covered forests on impressive dioramas. 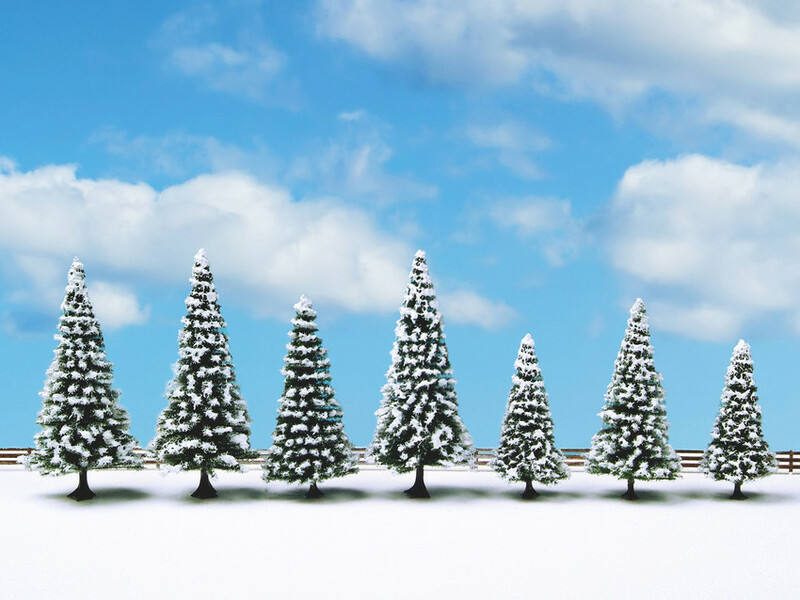 The beautifully snowy flocked trees are delivered with root stocks in 3-piece and 7-piece-sets. Contents: 7 pieces, 8 � 12 cm high. Noch Spring Trees Pack of Trees, 2,6'' - 4,3'' / 65 -110 mm. Noch rowan tree with berries. 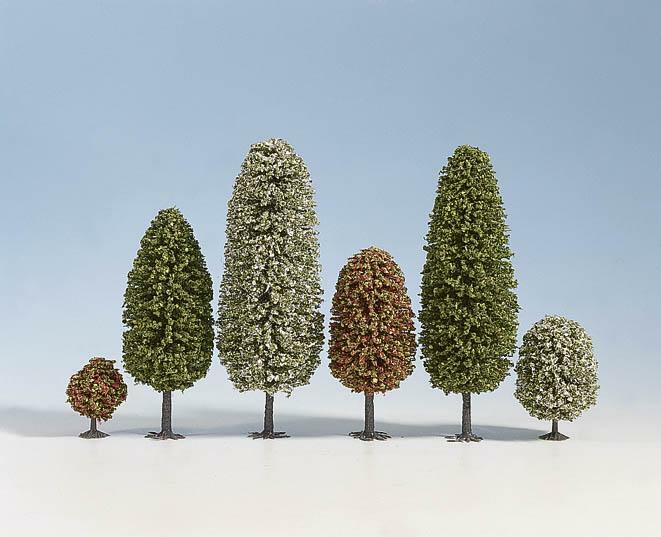 These high quality NOCH model trees are true to scale and allow for a professional landscape decoration. Noch oak tree. 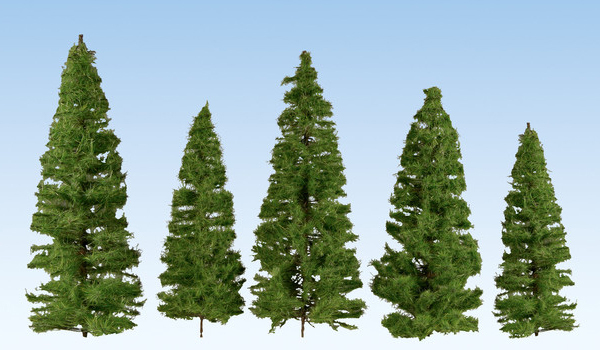 These high quality NOCH model trees are true to scale and allow for a professional landscape decoration. 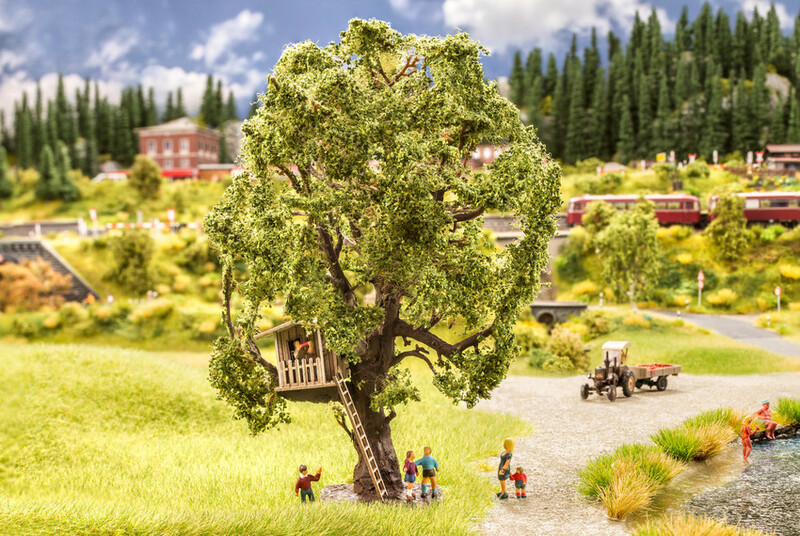 The huge oak with the lovingly created tree house is a very special eye-catching feature on any model landscape. The tree house is a ready assembled Laser-Cut building. Note: Figures are not included. We recommend Playing Children (ref. N15810) or Children (ref. N15815). Wow, They are Huge! Did you know that birches can grow up to 30 meters and lime trees up to 40m? 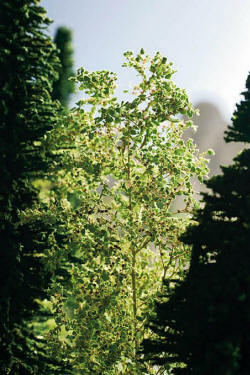 A birch tree then would be up to 34 cm high in H0 gauge, and a lime tree up to 50 cm. This would be a bit too high for us. 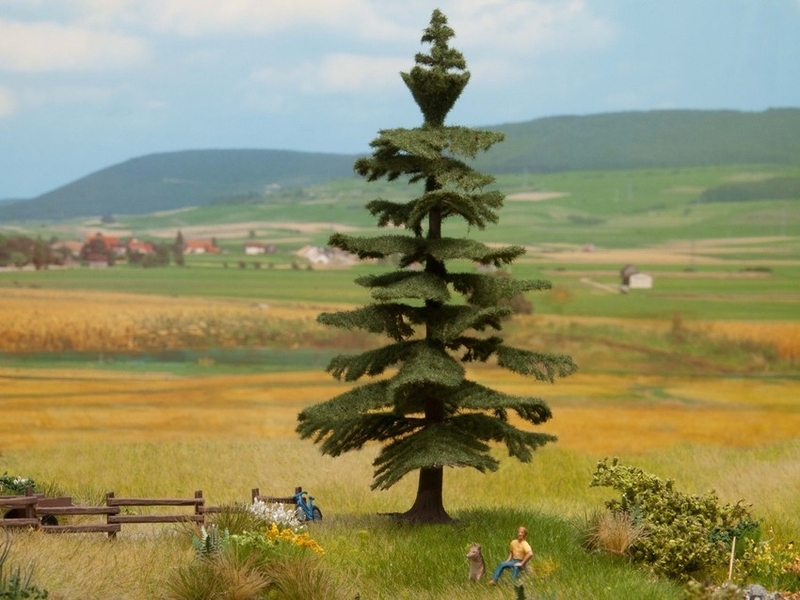 However, we do understand that it would be good to also have some beautiful, tall solitary trees on a wonderful layout. For that reason, NOCH now offers tall and impressive Birch Trees, Lime Trees, Oak Trees and Chestnut Trees. Since 2010, NOCH has been producing its model trees in its own Vietnamese factory. 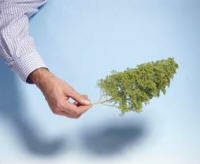 There, the trees are carefully manufactured by hand. This makes it possible to improve the already high quality of the NOCH PROFI Trees even further. The tree trunks are carefully coloured with a matt colour so that surface does not appear to be made from plastic. In order to give the tree more volume, a fine weave is worked into the branches before they are flocked. 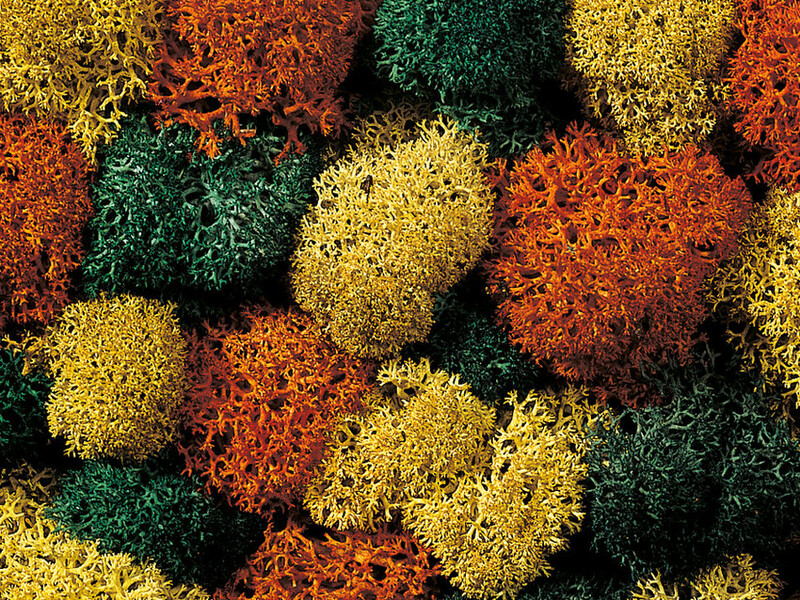 The high-Quality NOCH Flockage is used for flocking the trees. 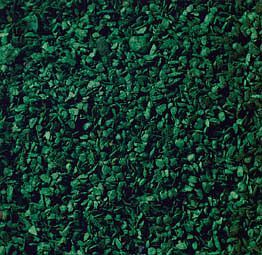 The specially and elaborately coloured material resembles the leaves of real trees. Just like in real nature, the NOCH Model Trees only the finest branches carry leaves. The bigger branches are deliberately not flocked in the process. The NOCH PROFI Tree Series meets the highest requirements of quality and realism. Noch single Nordic Fir Tree. These Noch trees are carefully manufactured by hand which makes it possible to improve the already high quality of the NOCH PROFI Trees. Size: 18.5 cm high. Noch single Spruce tree. These Noch trees are carefully manufactured by hand which makes it possible to improve the already high quality of the NOCH PROFI Trees. Size: 12 cm high. Noch single Spruce tree. These Noch trees are carefully manufactured by hand which makes it possible to improve the already high quality of the NOCH PROFI Trees. Size: 14.5 cm high. Noch single Spruce tree. These Noch trees are carefully manufactured by hand which makes it possible to improve the already high quality of the NOCH PROFI Trees. Size: 18.5 cm high. Noch single high trunk spruce tree. These Noch trees are carefully manufactured by hand which makes it possible to improve the already high quality of the NOCH PROFI Trees. Size: 14.5 cm high. Noch single high trunk spruce tree. These Noch trees are carefully manufactured by hand which makes it possible to improve the already high quality of the NOCH PROFI Trees. Size: 18.5 cm high. Noch double pack of snow fir trees. These Noch trees are carefully manufactured by hand which makes it possible to improve the already high quality of the NOCH PROFI Trees. Contents: 2 pieces, 16 and 18 cm high. Noch double pack of snow fir trees. These Noch trees are carefully manufactured by hand which makes it possible to improve the already high quality of the NOCH PROFI Trees. Contents: 2 pieces, 18 and 20 cm high. 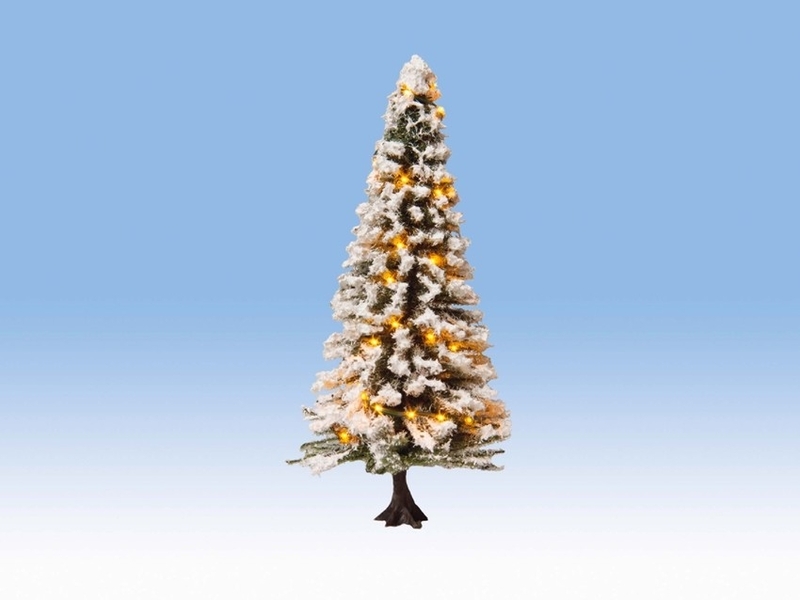 he Christmas Tree contain warm white LEDs which shine in a pleasant warm light, similar to a light chain with bulbs. The indicated scales of the trees are only recommendations. You may also use the small tree for scale 0 or position the large one on the town square in scale N. Create your own individual landscape! The connection is made to the light flux output via a usual 16 V transformer, suitable for AC/DC. Alternatively the operation is possible with a 12 V plug-in power supply (500 mA, AC/DC). Size: Height: 50mm. 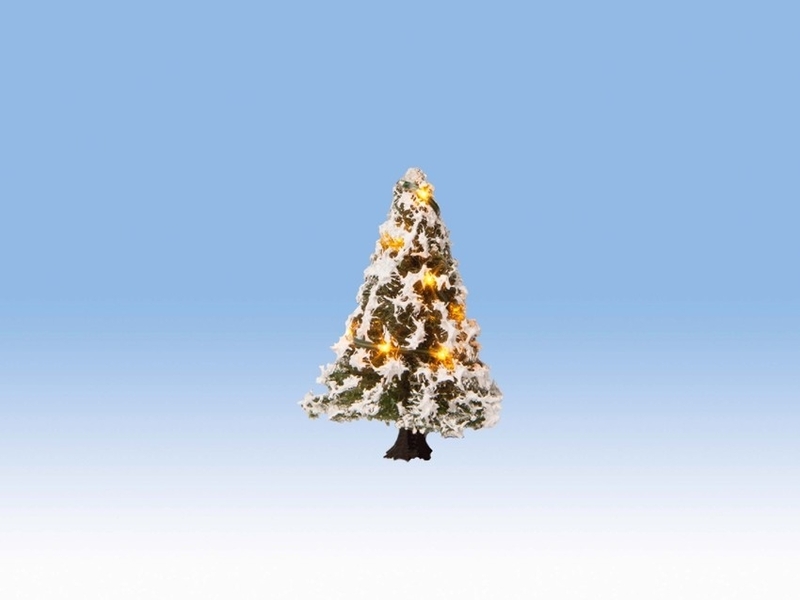 The Christmas Tree contain warm white LEDs which shine in a pleasant warm light, similar to a light chain with bulbs. The indicated scales of the trees are only recommendations. You may also use the small tree for scale 0 or position the large one on the town square in scale N. Create your own individual landscape! The connection is made to the light flux output via a usual 16 V transformer, suitable for AC/DC. Alternatively the operation is possible with a 12 V plug-in power supply (500 mA, AC/DC). Size: Height: 80mm. 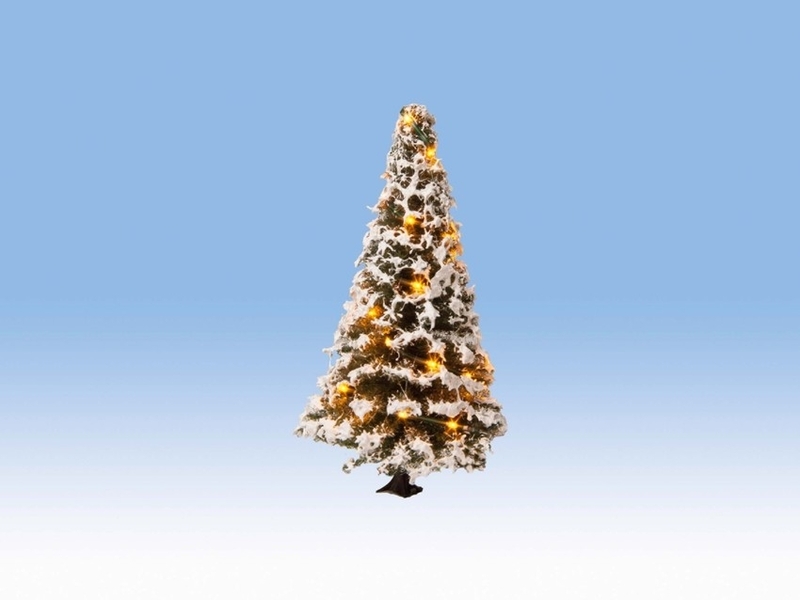 The Christmas Tree contain warm white LEDs which shine in a pleasant warm light, similar to a light chain with bulbs. The indicated scales of the trees are only recommendations. You may also use the small tree for scale 0 or position the large one on the town square in scale N. Create your own individual landscape! The connection is made to the light flux output via a usual 16 V transformer, suitable for AC/DC. Alternatively the operation is possible with a 12 V plug-in power supply (500 mA, AC/DC). Size: Height: 120mm. Noch Hobby Trees Mixed Forest 3.5-9cm (25). The "Mixed Forest" contains dark green fir trees, as well as lush green deciduous trees that make for a great mixed forest. 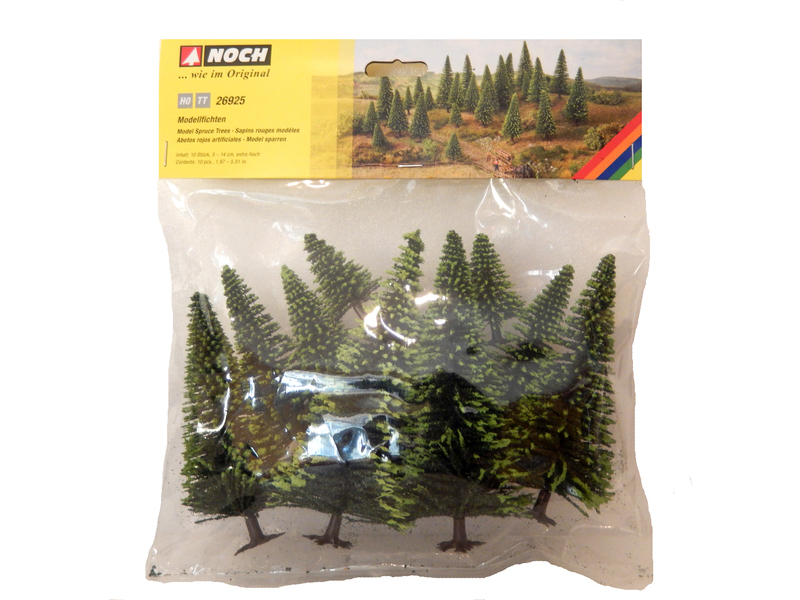 The cost-efficient Hobby-Trees from NOCH are ideal for creating whole forests on your model landscape. 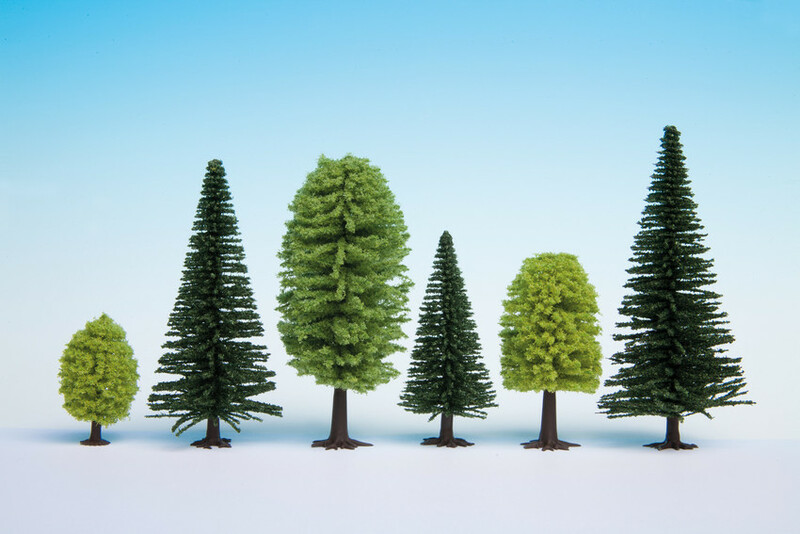 The Model Trees with their realistic tree trunks are the perfect way to design dense forests and realistic tree groupings. 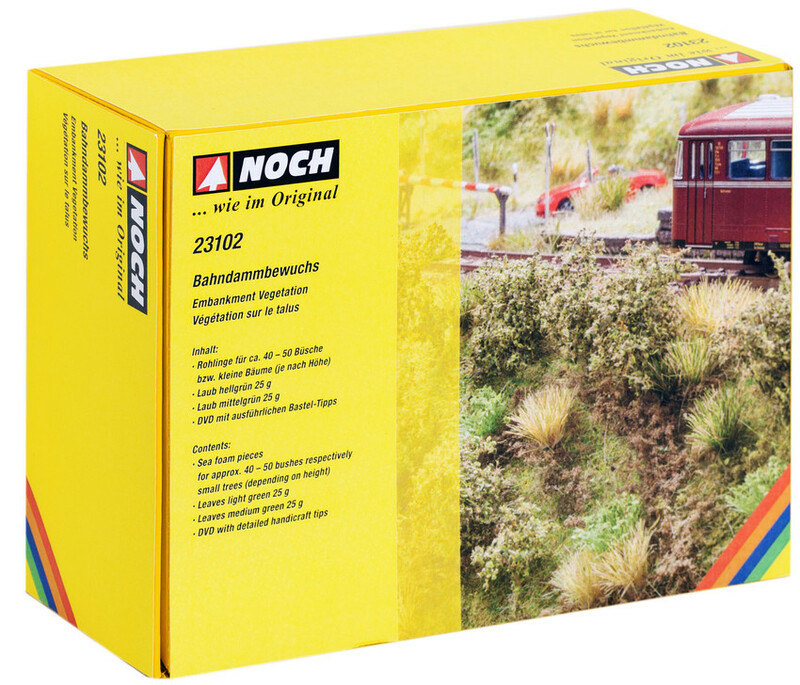 Add some excitement to your model railway layout with Noch's falling trees. The tree falls slowly, then faster, until it reaches the ground with a bounce. After a short time the fir tree becomes upright again. This tree can be situated so it falls across the tracks, bringing your model trains to a standstill. This can be triggered by the accompanying switch or with the in-built digital-decoder (DCC/MM) via a digital centre. Suitable for OO, H0, and TT models, Height 190mm, Maximal Voltage of 16V AC/DC. Noch green Christmas Tree with lights. This tree can be powered by either AC (10-15v) or DC (12V) Current. Noch white Christmas Tree with lights. 80mm High. This tree can be powered by either AC (10-15v) or DC (12V) Current. 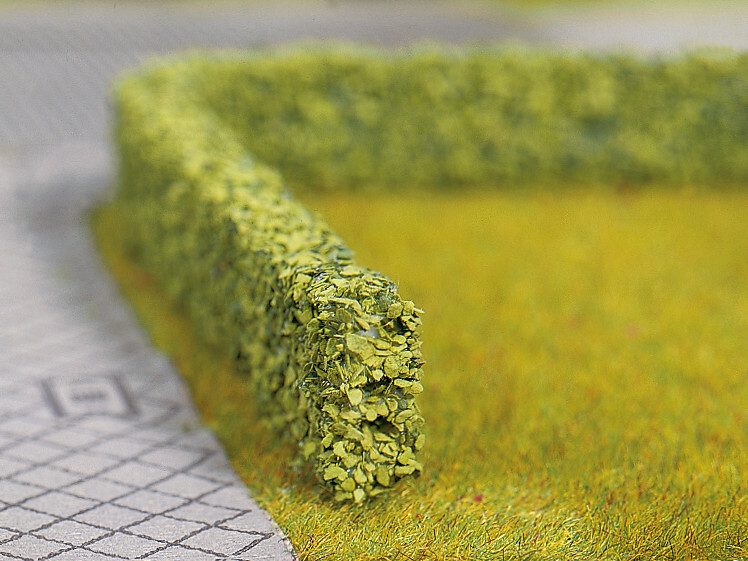 Noch flexible light green model hedges. Size: Length: 500.00 mm, Width: 8.00 mm, Height: 15.00 mm. 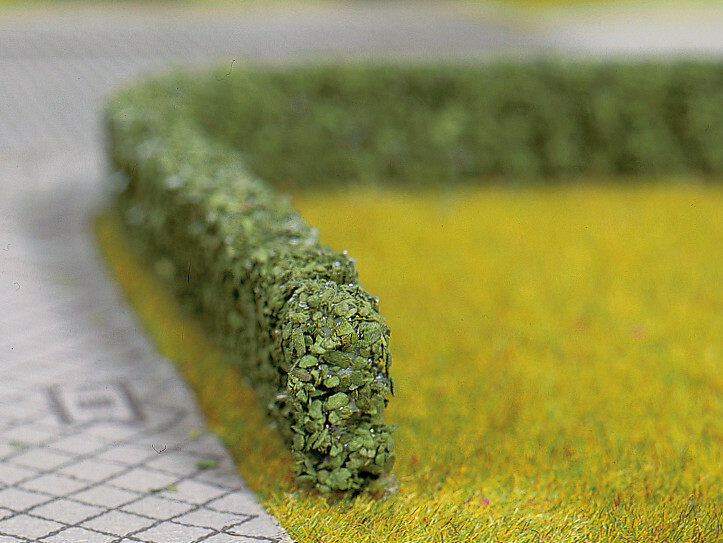 Noch flexible dark green model hedges. 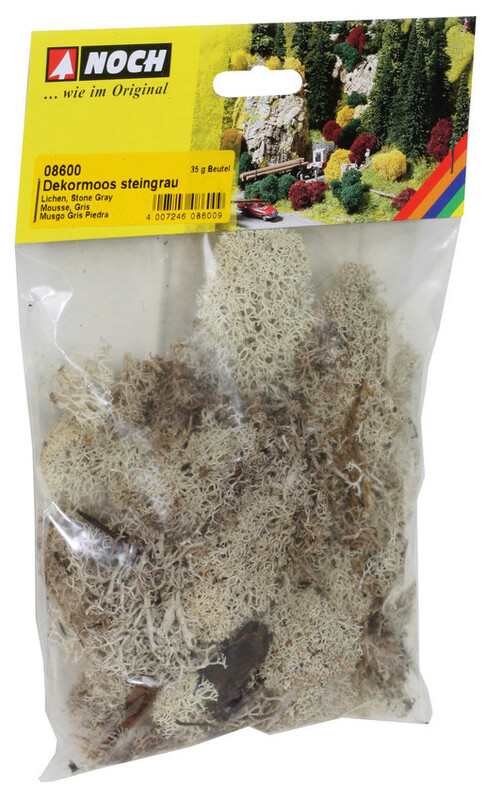 Noch stone grey lichen (35g bag). 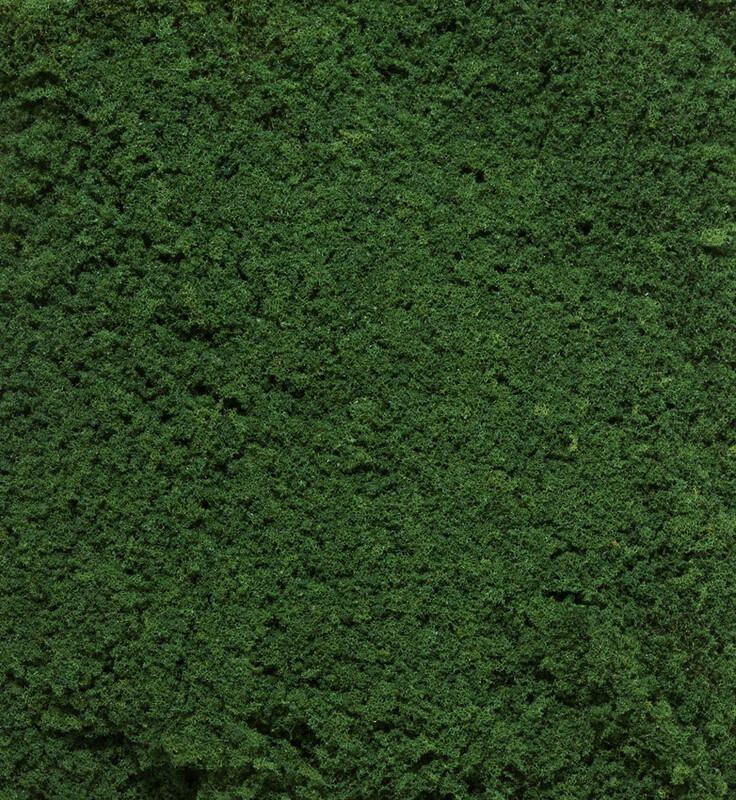 The NOCH Lichen is made out of 100%, authentic Icelandic moss, which is pre-processed and coloured and which maintains its natural flexibility for a long time. 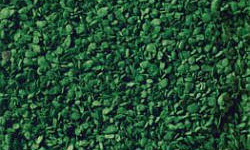 It is ideally suited for creating shrubbery, bushes, or ground-cover plants. Noch assorted green lichen mix. 30g. 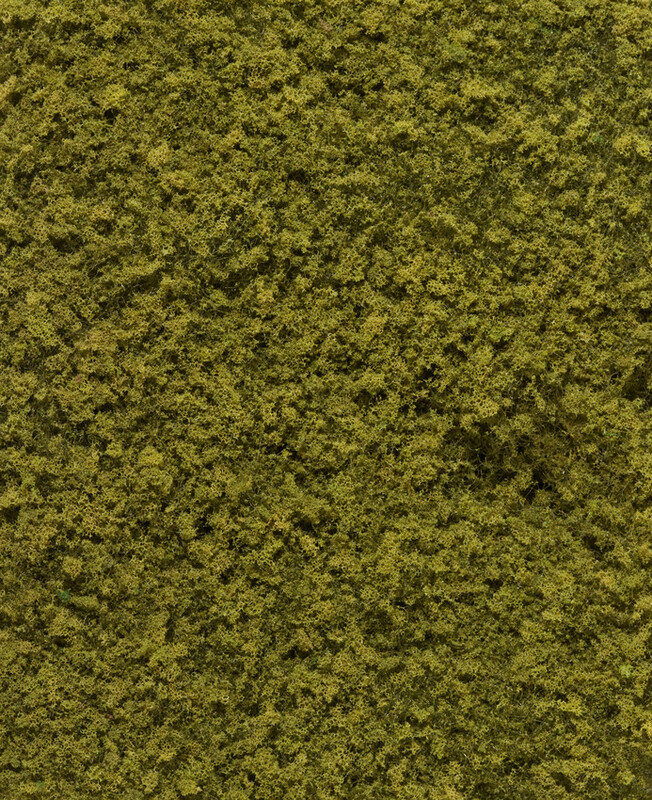 The NOCH Lichen is made out of 100%, authentic Icelandic moss, which is pre-processed and coloured and which maintains its natural flexibility for a long time. 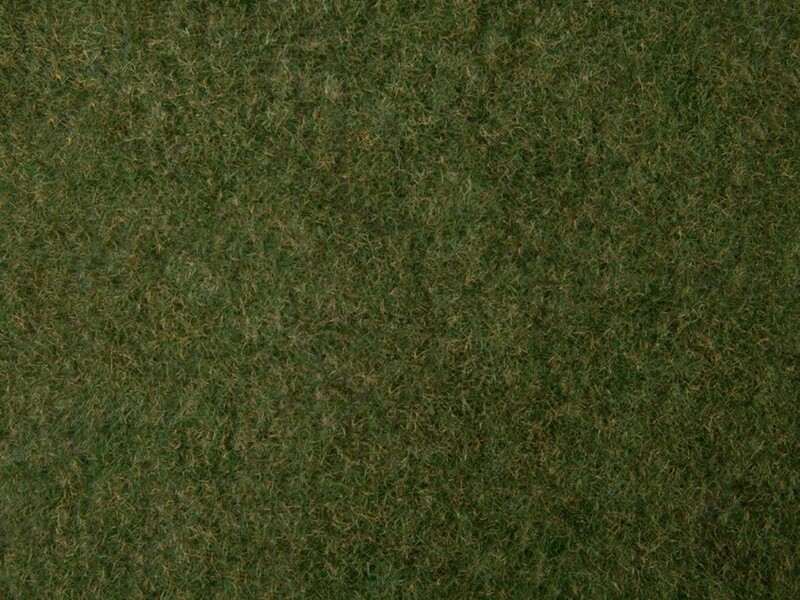 It is ideally suited for creating shrubbery, bushes, or ground-cover plants. 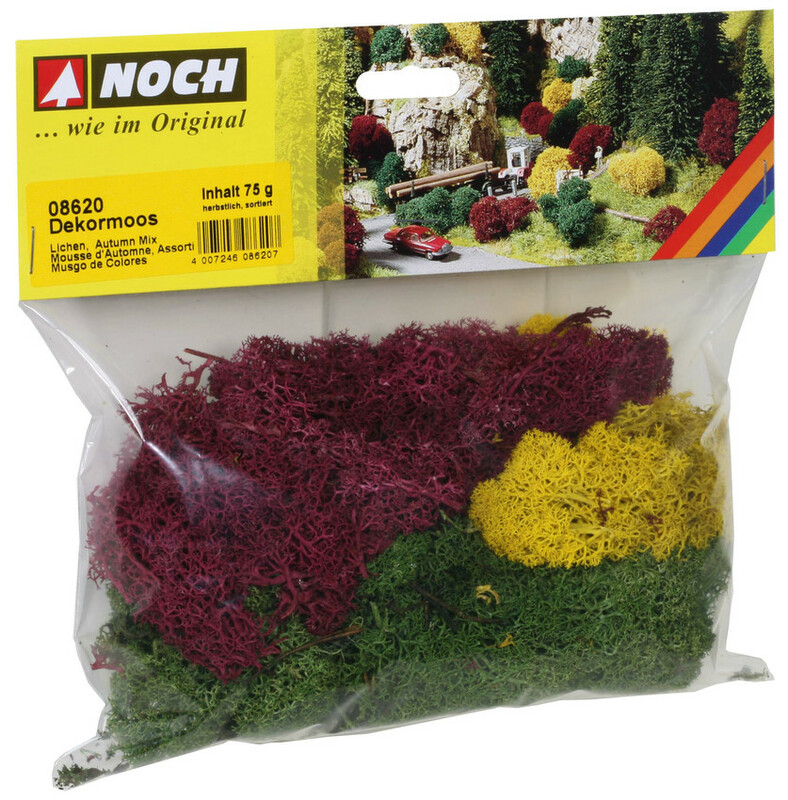 Noch autumn mix lichen (75g bag). 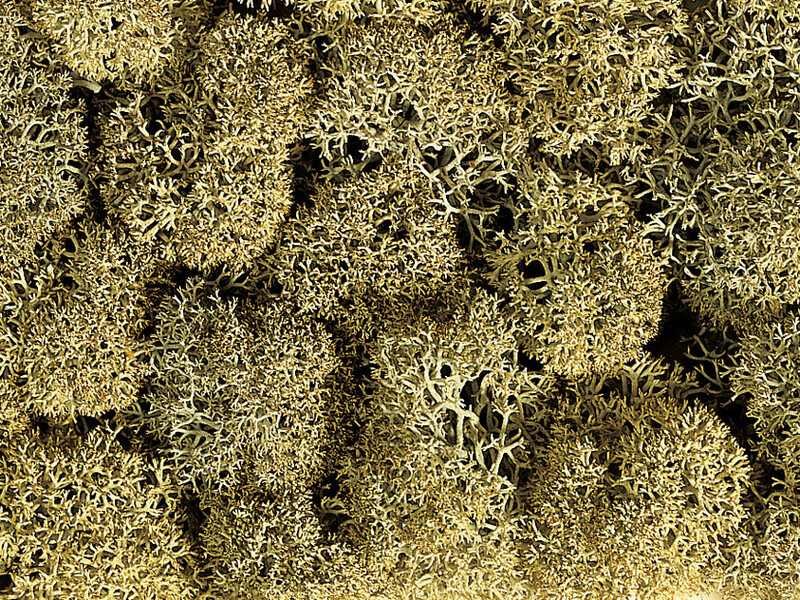 The NOCH Lichen is made out of 100%, authentic Icelandic moss, which is pre-processed and coloured and which maintains its natural flexibility for a long time. 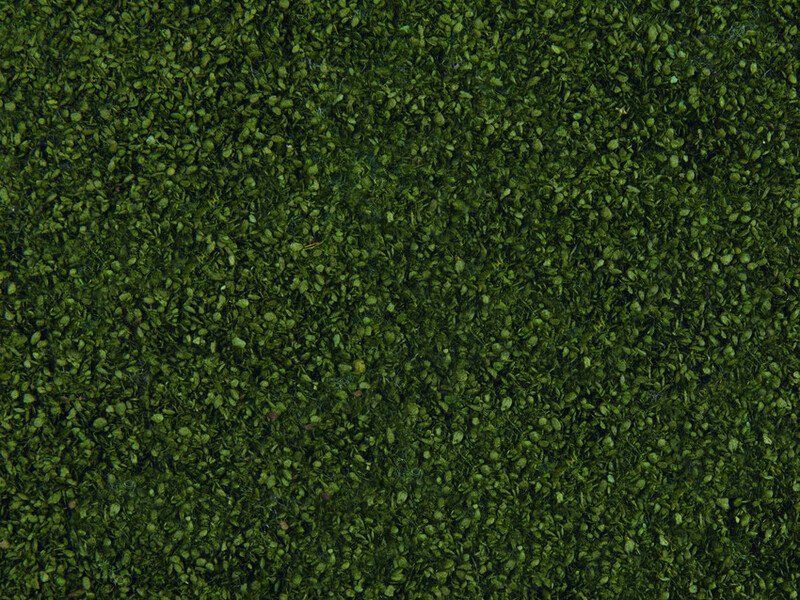 It is ideally suited for creating shrubbery, bushes, or ground-cover plants. 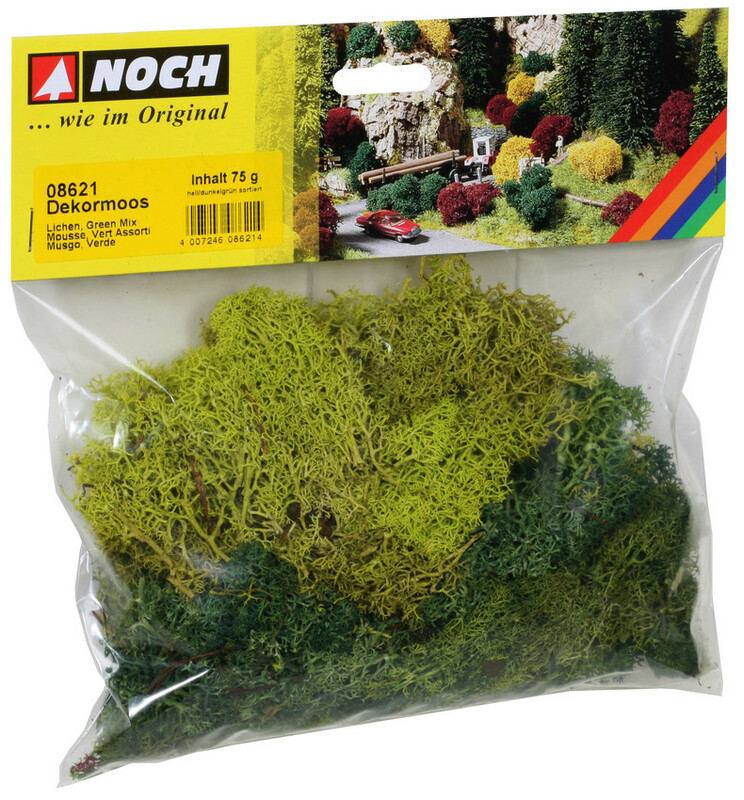 Noch green mix lichen (75g bag). 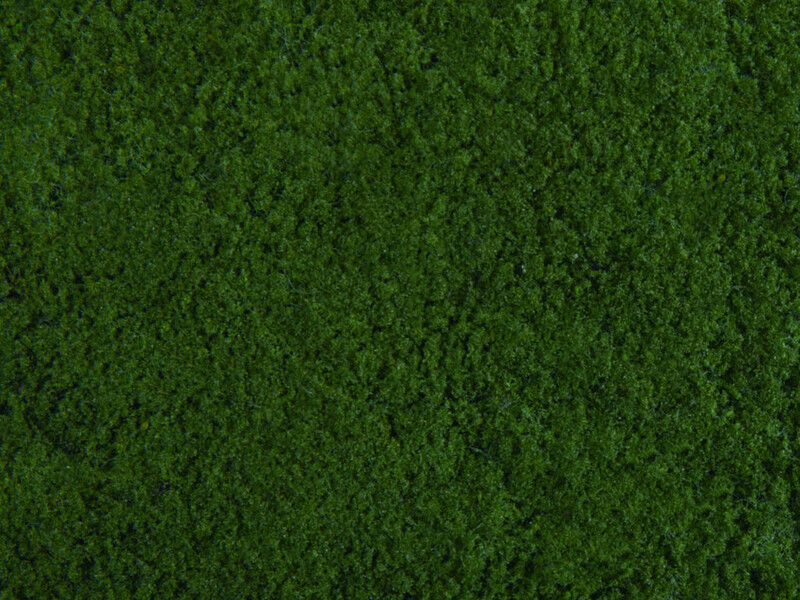 The NOCH Lichen is made out of 100%, authentic Icelandic moss, which is pre-processed and coloured and which maintains its natural flexibility for a long time. 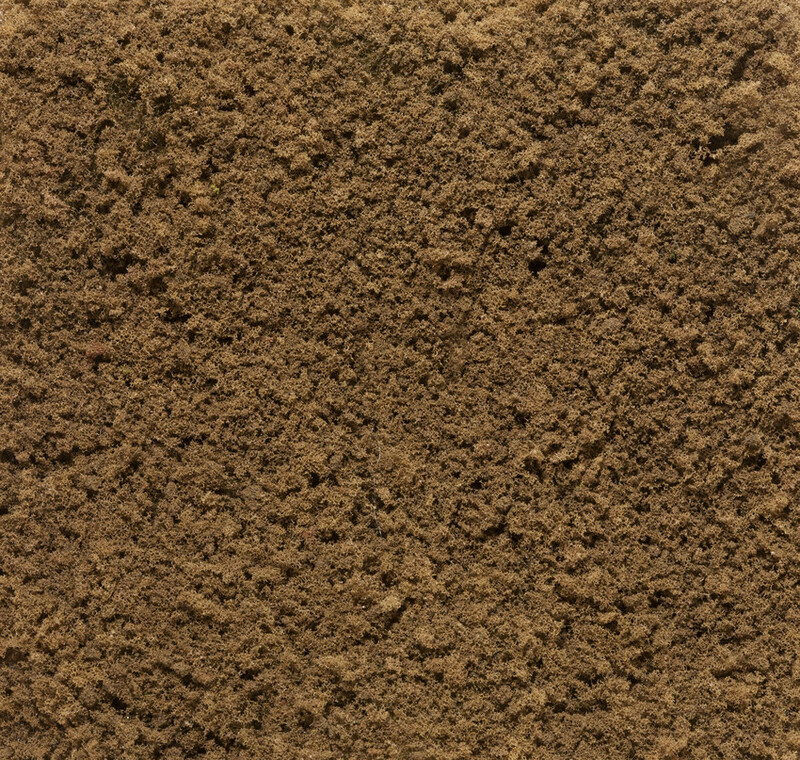 It is ideally suited for creating shrubbery, bushes, or ground-cover plants. 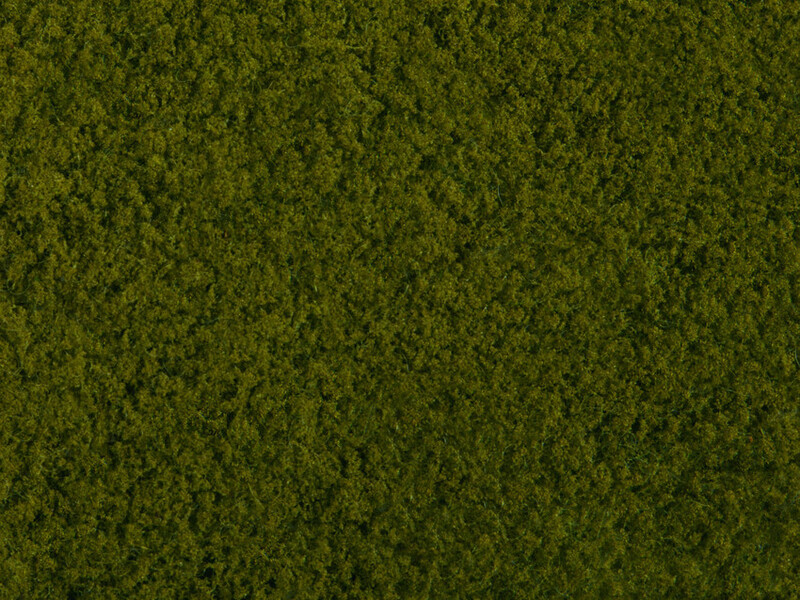 The Profi-Line Leaves is the perfect material for making realistic trees and bushes. 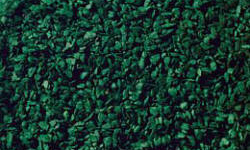 This material is also ideal for ivy growth on walls or for undergrowth found on the forest floor. We recommend mixing the colours to create more vibrant tones. 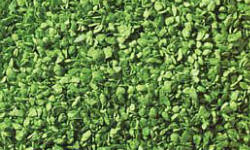 The popular NOCH leaf foliage is a special finely cut flock material. Each single leaf imitates the original form of a leaf. The new leaf foliage set includes NOCH leaves in four different shades of green. 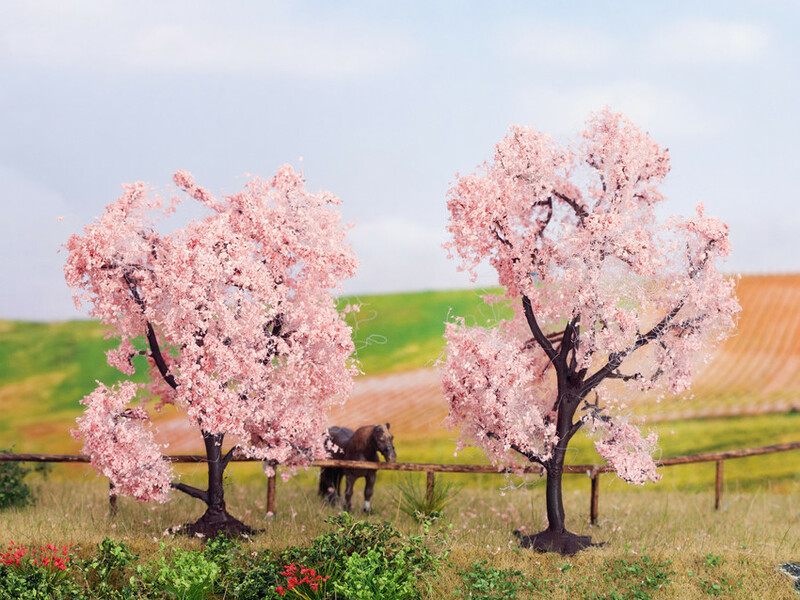 This set allows the creation of any life-like trees, bushes and plants. olive, light green, mid-green, dark green. Spray the trees, bushes or ground with NOCH Spray Glue (ref. 61160). 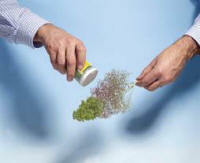 Finally, sprinkle NOCH leaves with your hands or with the special NOCH Profi Applicator (ref. N08099) on the trees. yellow, red, red / brown, orange / brown. 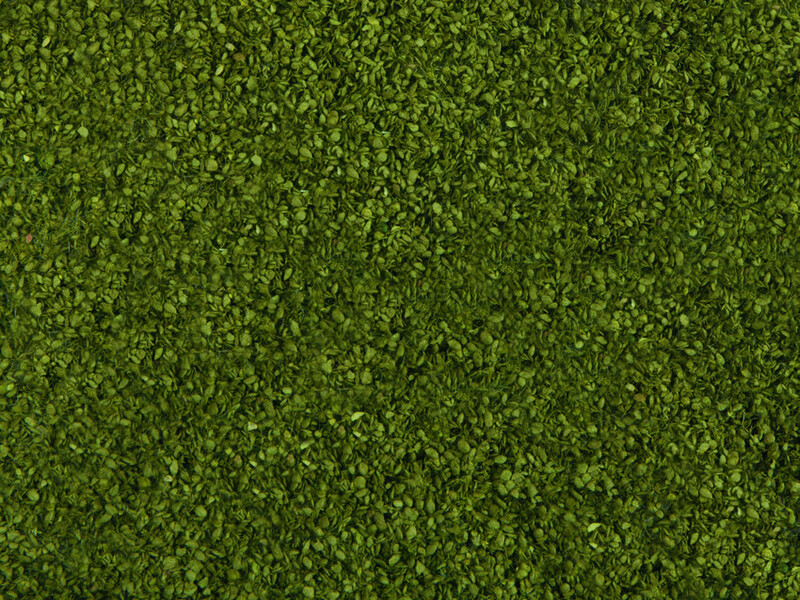 The popular NOCH leaf foliage is a special finely cut flock material. Each single leaf imitates the original form of a leaf. 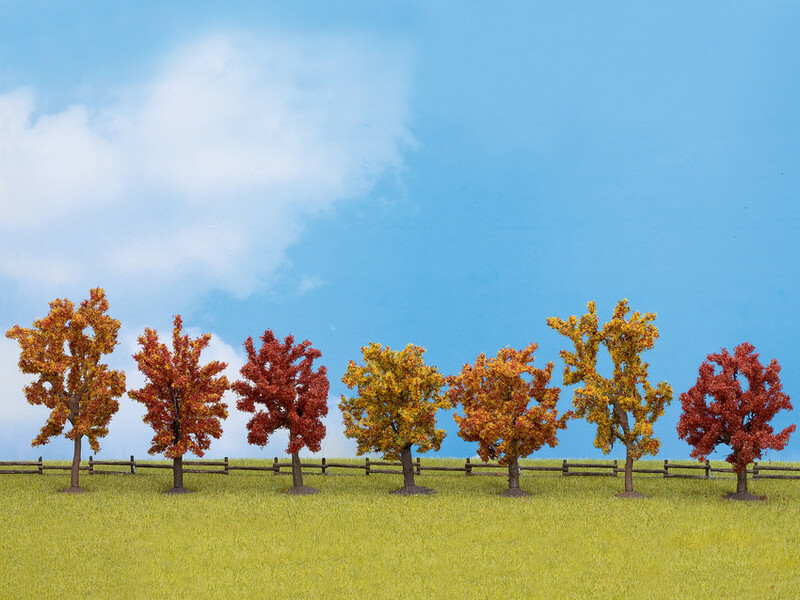 The autumn leaf foliage set contains NOCH leaves in four different autumn colours. 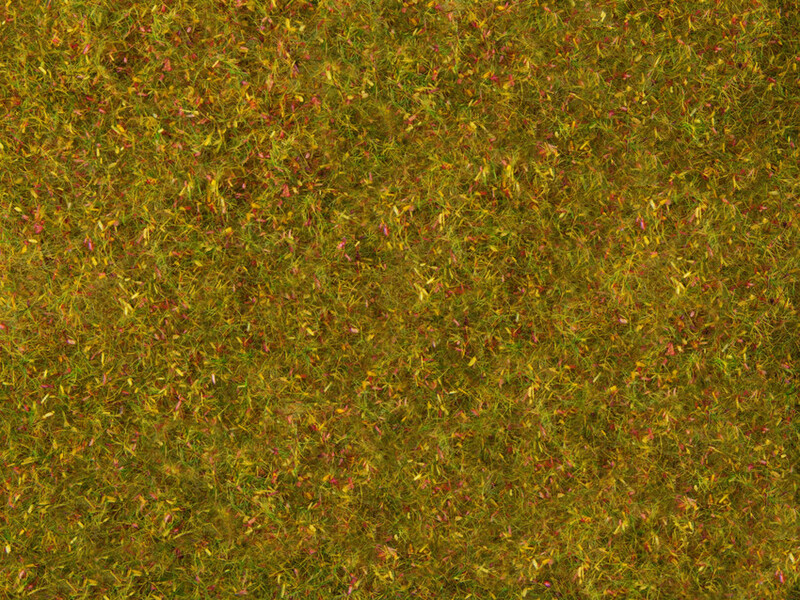 This set is ideal to imitate trees and plants in autumn colours or simulate a natural carpet of autumn leaves. Spray the trees, bushes or ground with NOCH Spray Glue (ref. 61160). 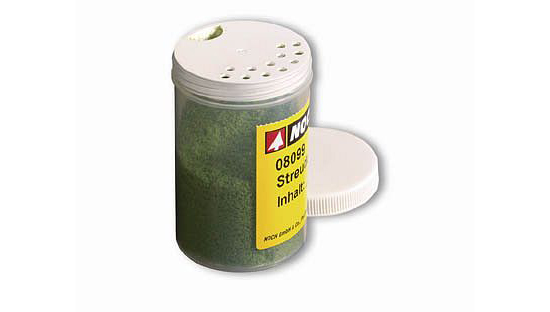 Finally, sprinkle NOCH leaves with your hands or with the special NOCH Profi Applicator (ref. N08099) on the trees. yellow, red, red / brown, orange / brown. Back again with Improved Quality! 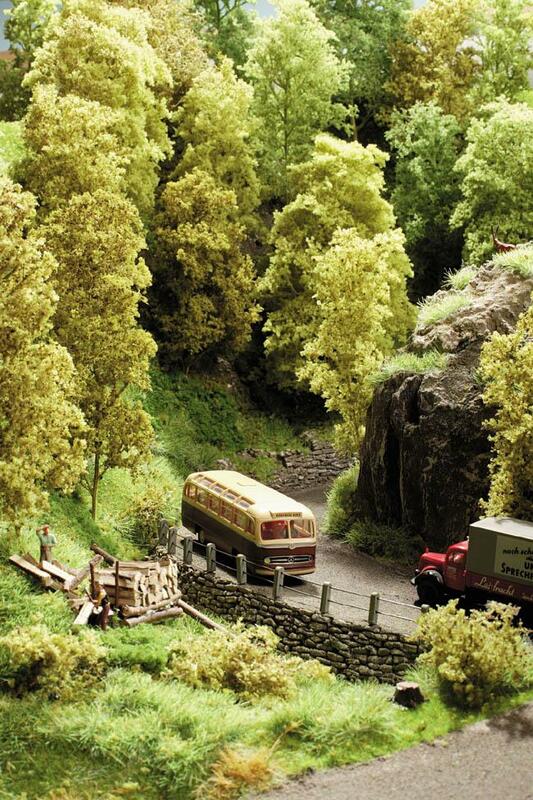 Foliage is a top-quality product for the realistic creation of model landscapes. The extremely thin and flexible woven material is covered with specially ground and naturally coloured flock material. Foliage can be ideally used to create low vegetation, shrubs and moss or leafy bushes and trees. Its application is very simple � the foliage can be torn, stretched, formed and cut so your desired shape can be achieved. 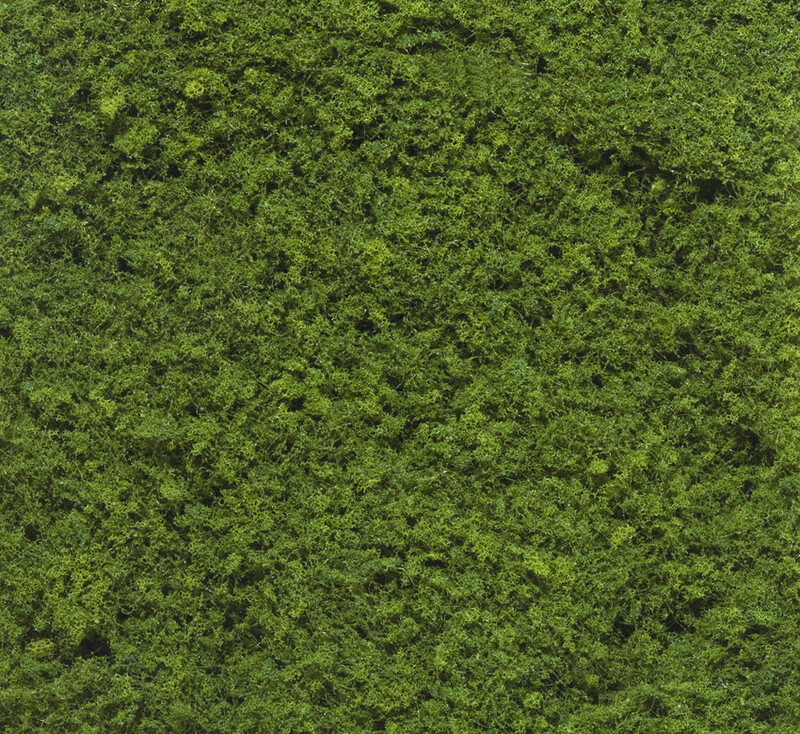 Foliage is an essential product for creating high-quality model landscapes and is used in several areas. Using foliage, soils appear in more natural colours and realistic structures; riverbanks and forest edges have an effect of natural vegetation; bushes and trees are enhanced by the foliage volume, so appear more realistic. 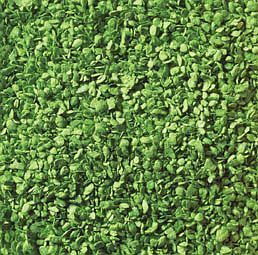 Product Highlights: Razor-thin and highly flexible substrate: It�s possible to use the foliage on bumpy surfaces or rip it into small pieces to apply it exactly. Permanently flexible adhesive: For this flocking we use a permanently flexible glue which ensures the flexibility of the foliage. 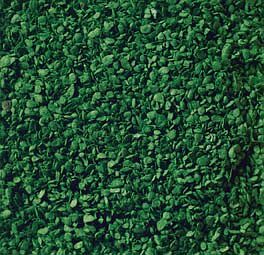 High-quality flocking: The foliage is flocked with up to five different materials, in conjunction with electrostatic flocking. This guarantees the natural appearance of NOCH Foliage. 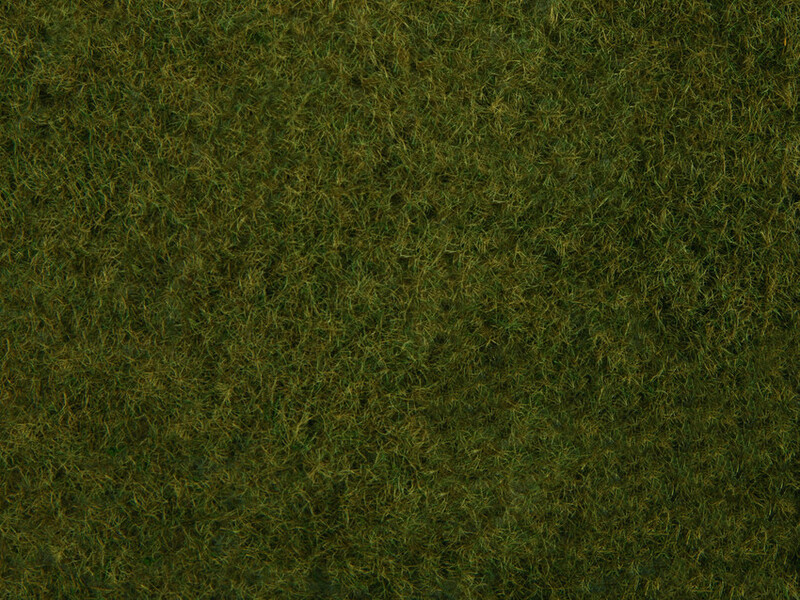 Classic Foliage: The classic foliage is equipped with a fine, naturally coloured flock. 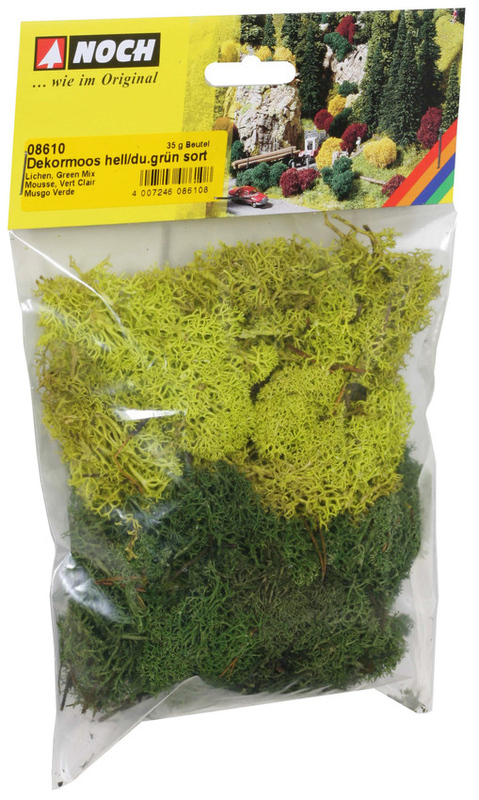 It is ideally suited for decorating ground cover, lichen and base vegetation. 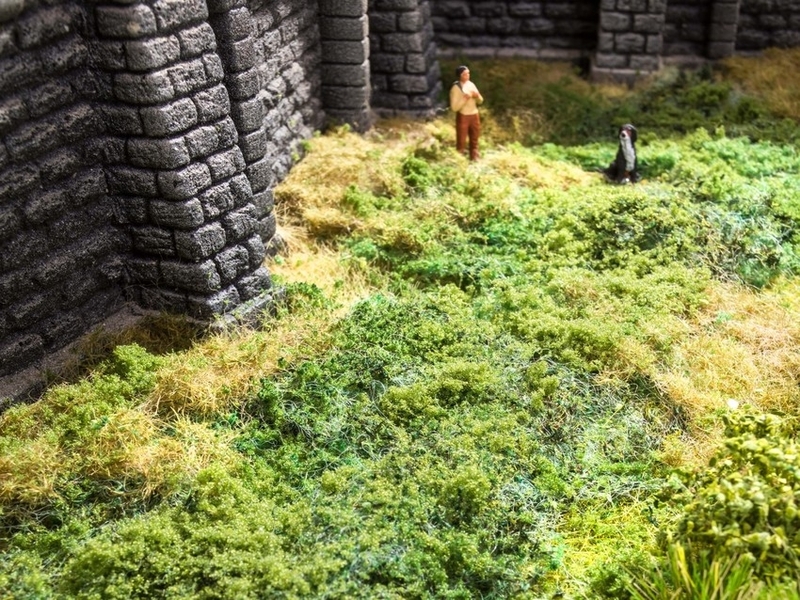 We recommend applying the foliage in order to make unnaturally consistent green areas more realistic. Size: 0.05 qm, Length: 200.00 mm, Width: 230.00 mm. Wild Grass Foliage: Wild Grass Foliage is made by electrostatic flocking, combining different grasses and flocks. 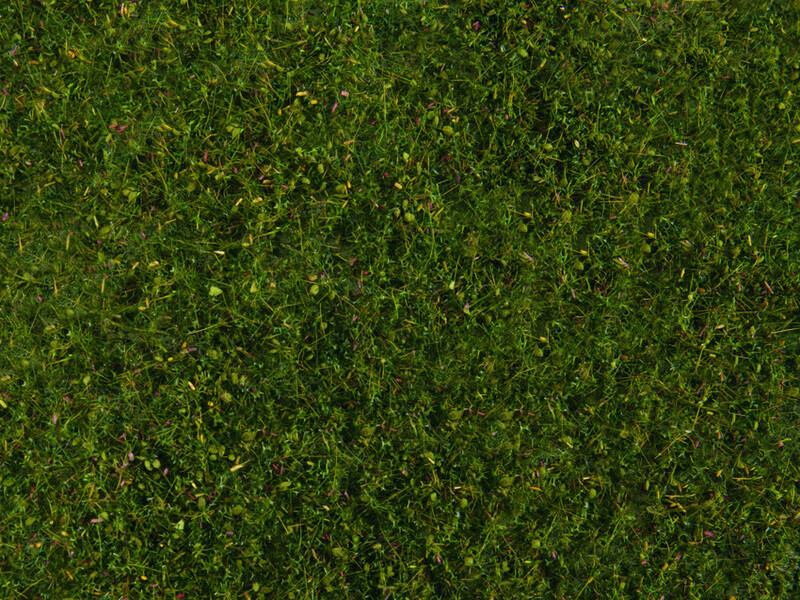 It is the ideal product for creating realistic pastures on forest edges, natural meadows as well as on riverbanks or lakes. Size: 0.05 qm, Length: 200.00 mm, Width: 230.00 mm. Meadow Foliage: The Meadow Foliage is also created by electrostatic flocking. 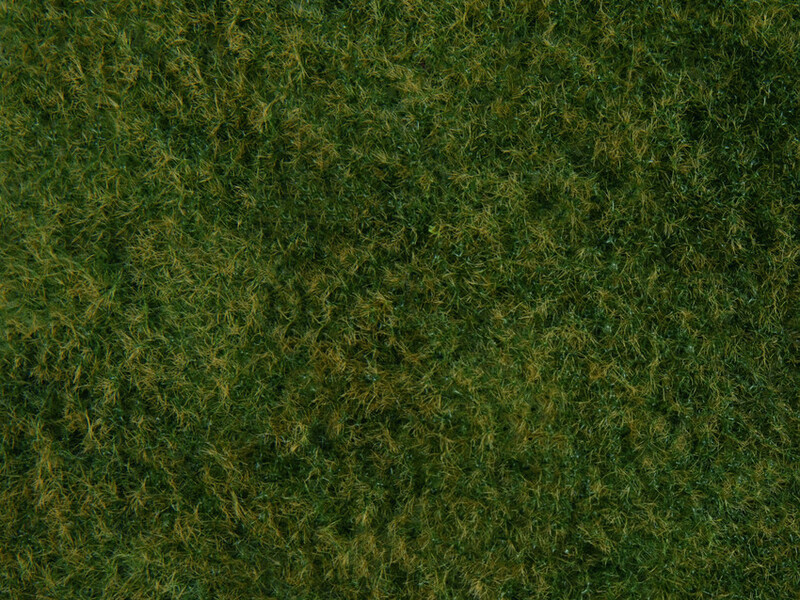 In contrast to the Wild Grass Foliage, shorter grass fibres are used. The Meadow Foliage is applied in all areas, as for example for meadows, pastures and agricultural land. Size: 0.05 qm, Length: 200.00 mm, Width: 230.00 mm. Leafy Foliage: Leafy Foliage is exquisitely recreated by the flocking of the unique finely cut NOCH leaves. 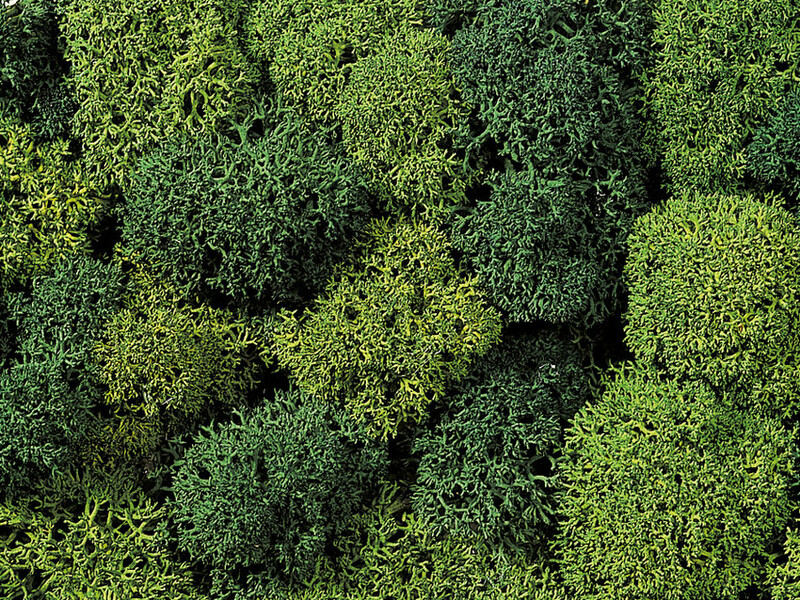 This article is particularly useful when flocking bushes and trees, as well as modelling small bushes and ground cover. Size: 0.05 qm, Length: 200.00 mm, Width: 230.00 mm. Made from a finely detailed and high quality nature material. 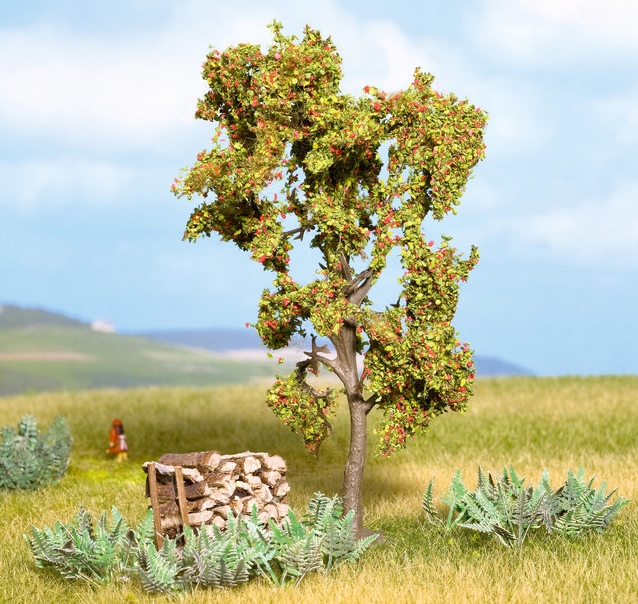 You can easily create trees, bushes and shrubs with extremely realistic results. 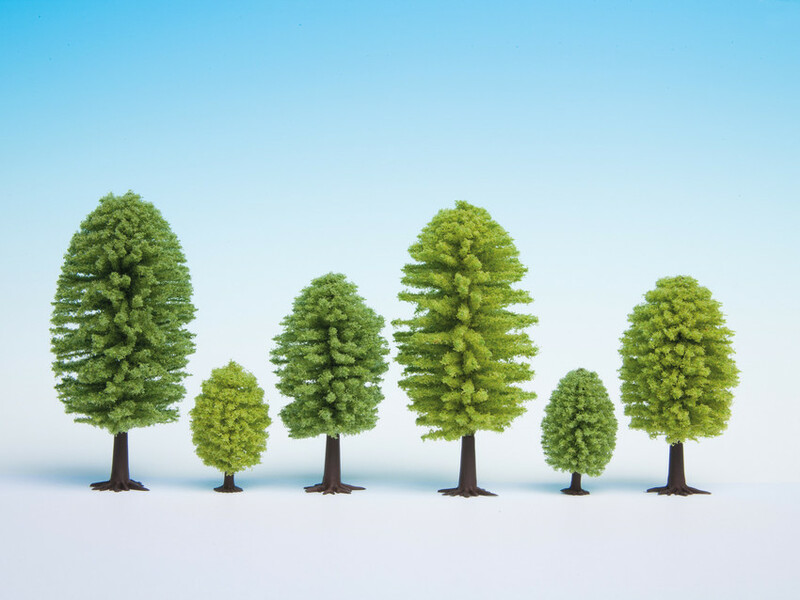 The Nature Trees package contains different tree sizes and forms to shape your landscape the way you want it. Use with Noch leaves to produce realistic trees. To glue the leaves on use, N61141 Noch liquid scenic glue or deluxe materials scenic spray. 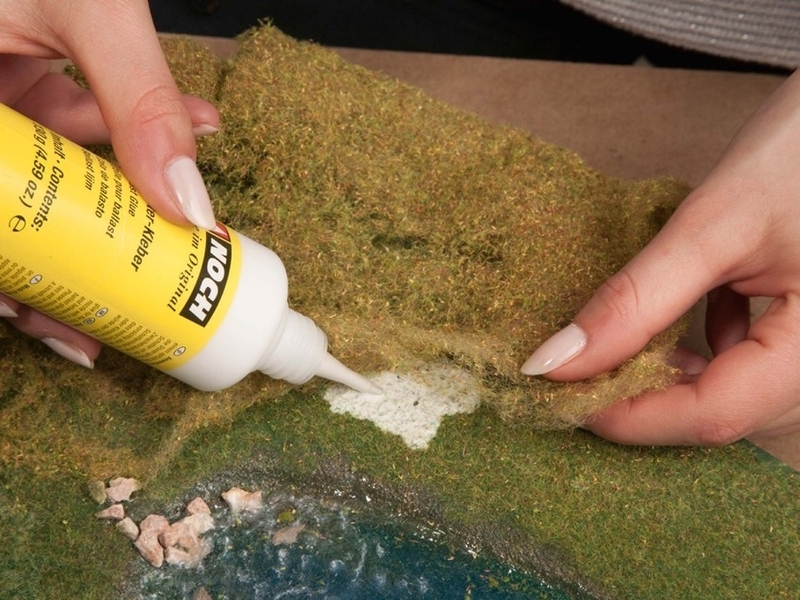 Create realistic embankment vegetation using sea foam. It is a natural product featuring ideal characteristics: no sea foam piece is like the other! Small, cracked pieces can be used directly as dried or dead shrubs which you can find on every embankment. Thicker sea foam pieces can be used as broken branches and decorated according to your wishes. Bigger, more voluminous sea foam pieces are simply covered with the flock material included in the set. The result is extremely realistic bushes. Requires scenic glue. 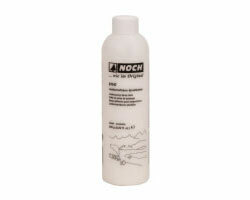 Use either N61160 Noch liquid scenic glue or deluxe materials scenic spray. � One product � a lot of applications: adhesion, fixation and sealing � Delivered ready-for-use � Dries transparently and without any residue. Application 1 �Adhesion�: For flocking bushes, trees and shrubs, the tree structure is sprinkled with the Landscaping Spray Glue and then flocked with leaves, flock or structure flock. After the drying process, the tree is sprayed once again with the Landscaping Spray Glue in order to fix the leaves. Application 2 �Fixation�: After loosely applying the material (rubble, ballast, flock, etc.) you want to fix, subsequently spray it with the Landscaping Spray Glue. After drying, you may add and fix additional layers, in order to increase the materials� volume. 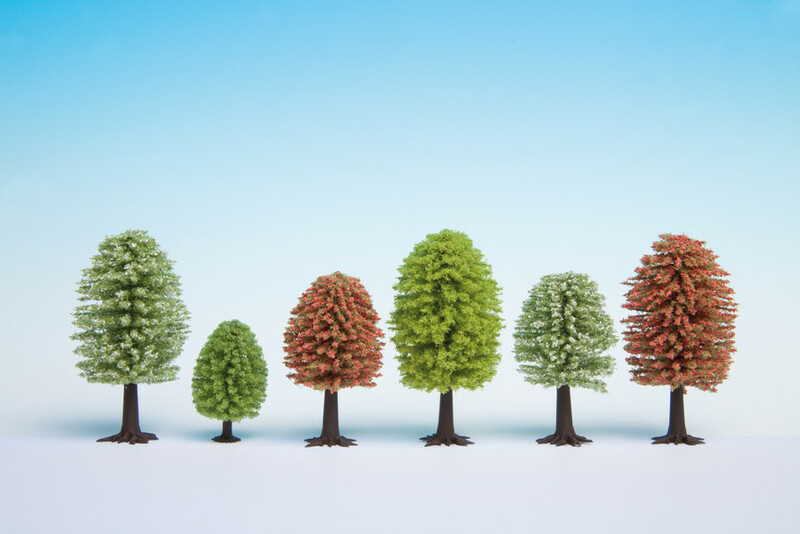 Application 3 �Sealing�: Ensure finished objects (such as flocked trees, bushes or designed vegetation) are sealed permanently by spraying the Landscaping Spray Glue. This way you can increase the objects� durability and stability. The Landscaping Spray Glue is delivered ready-for-use and it dries transparently. The nozzle of the Landscaping Spray Bottle fits onto the Landscaping Spray Glue. Contents: 250 g, delivered ready-for-use. 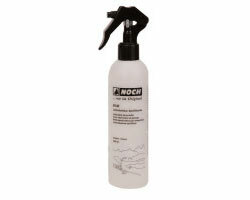 Noch - Landscaping Spray Bottle (empty). The Landscaping Spray Bottle can be used for a variety of different applications. 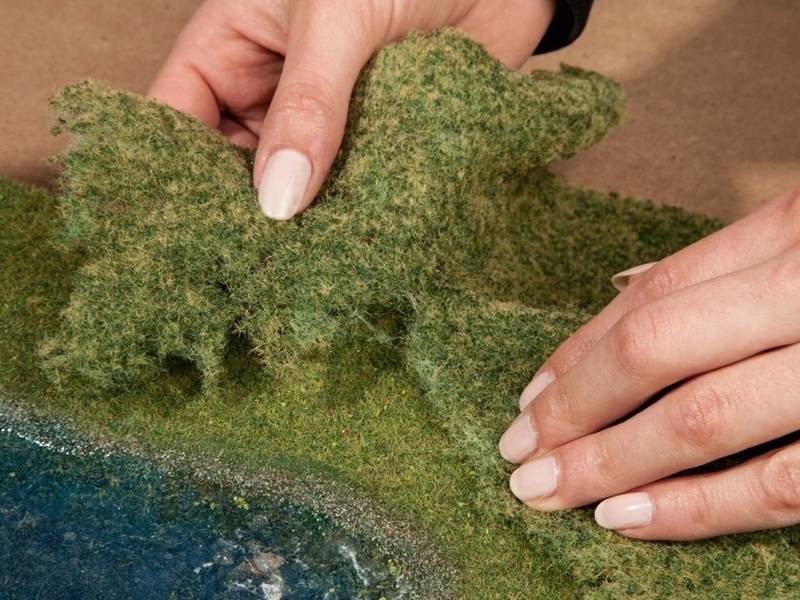 To enable you an easier removal of the rock from the cast, you can apply a release agent (20 parts water, 1 part detergent) with the Landscaping Spray Bottle to the mould before casting the form concrete. Furthermore, the Landscaping Spray Bottle is ideally suited for applying heavily diluted paint to the plastered rocks.